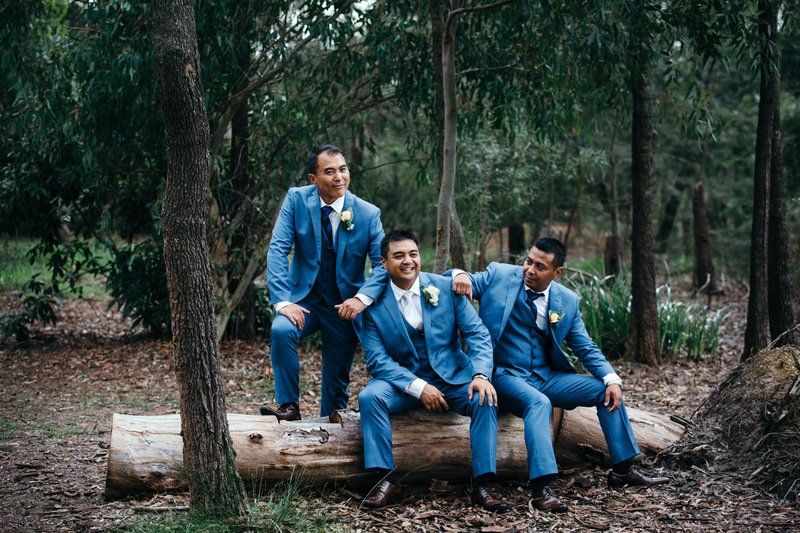 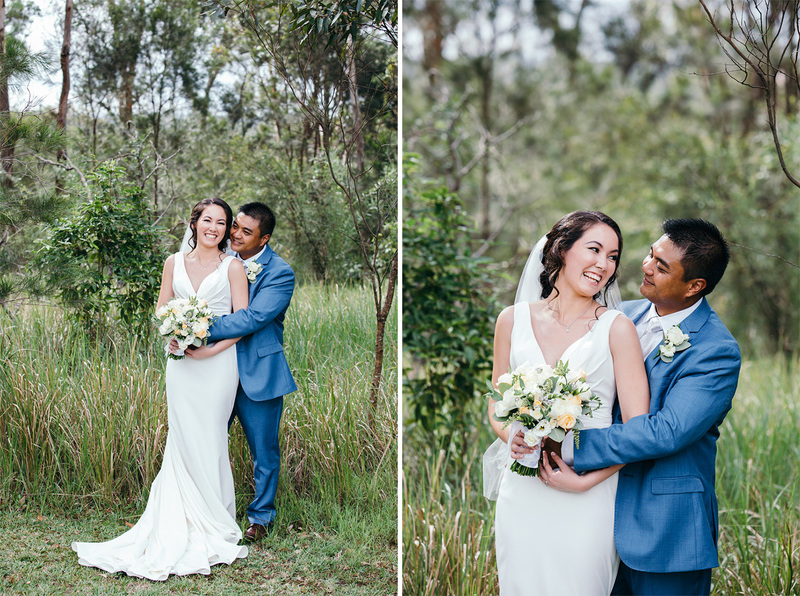 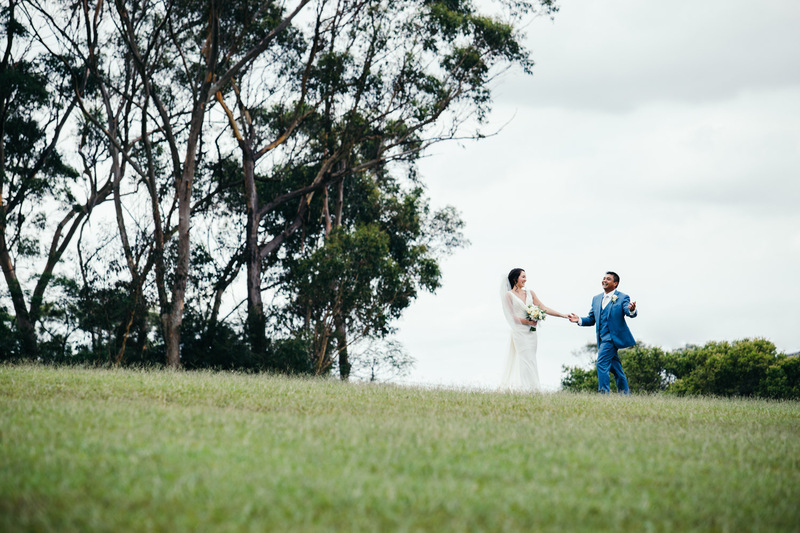 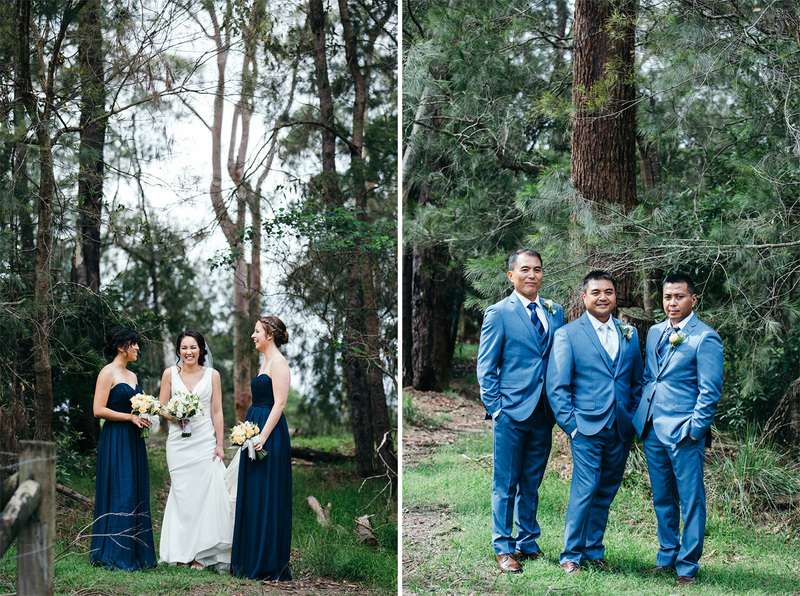 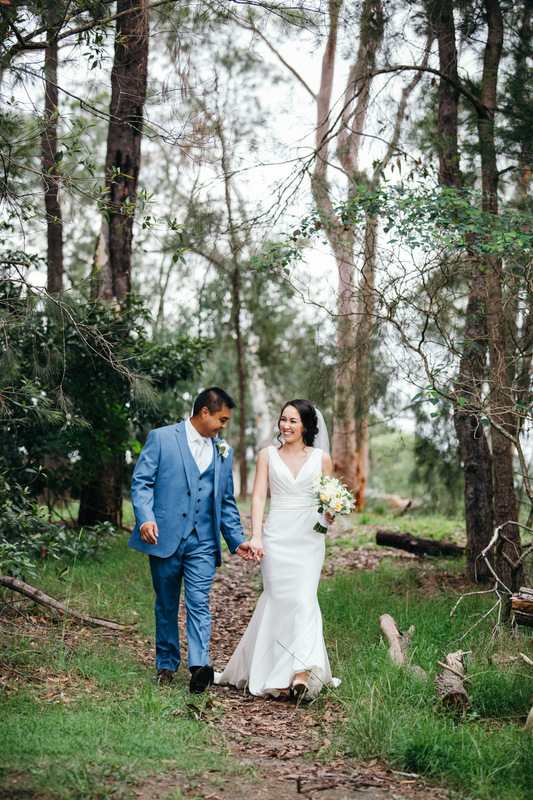 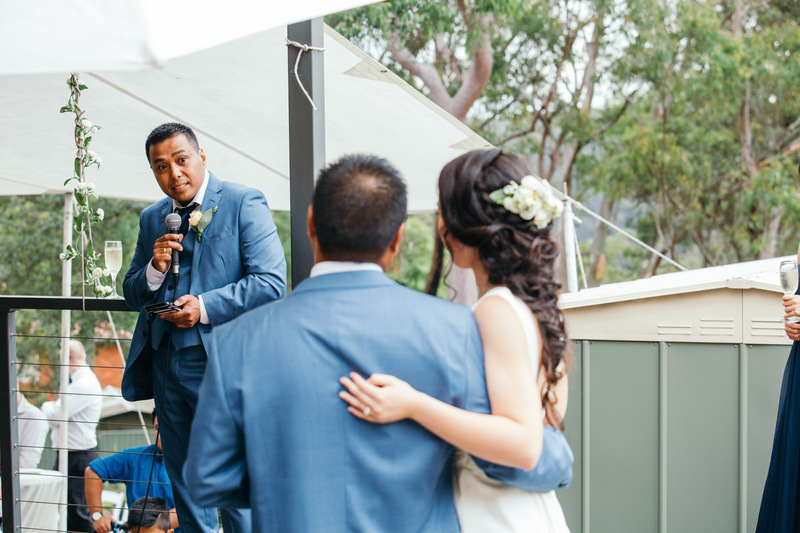 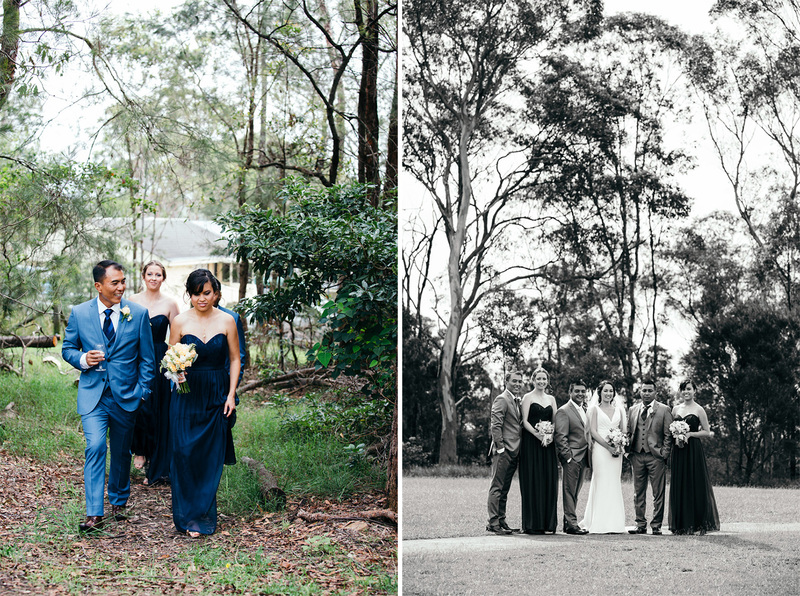 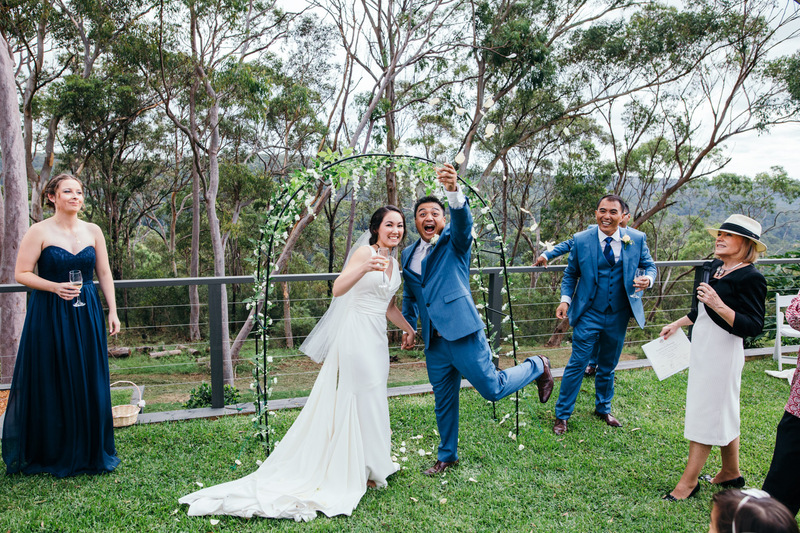 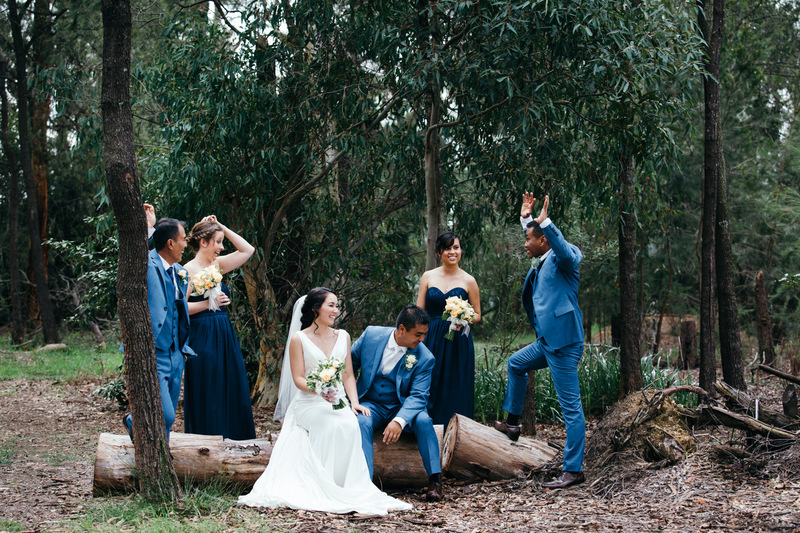 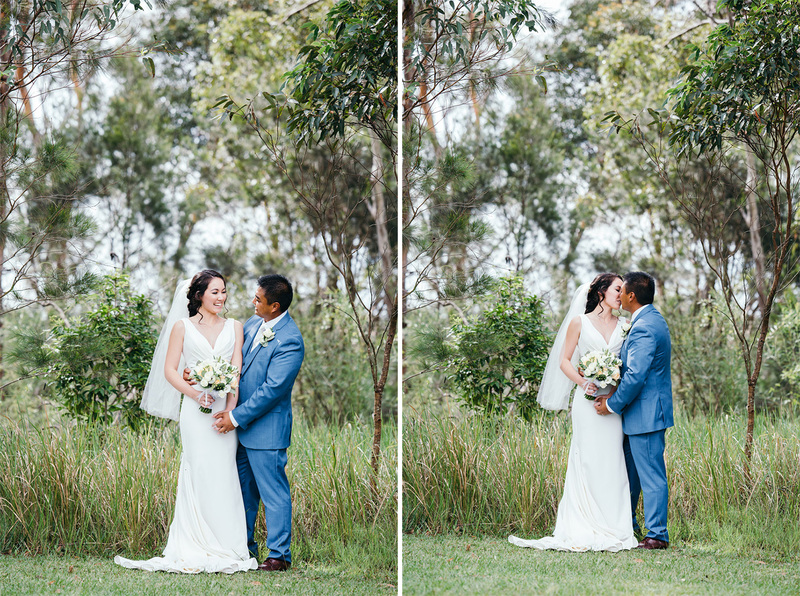 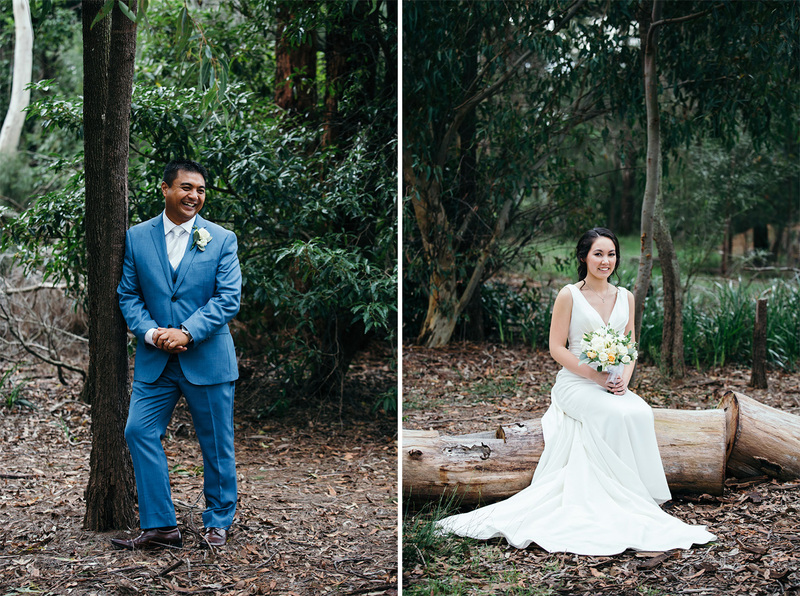 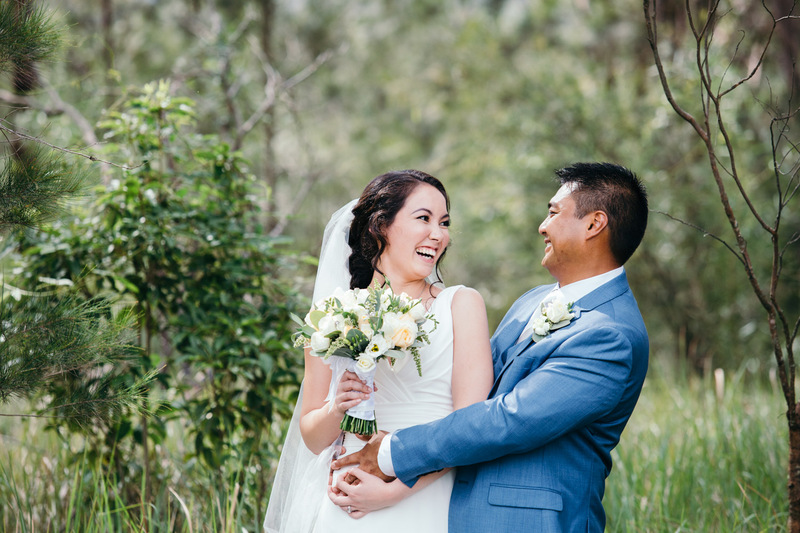 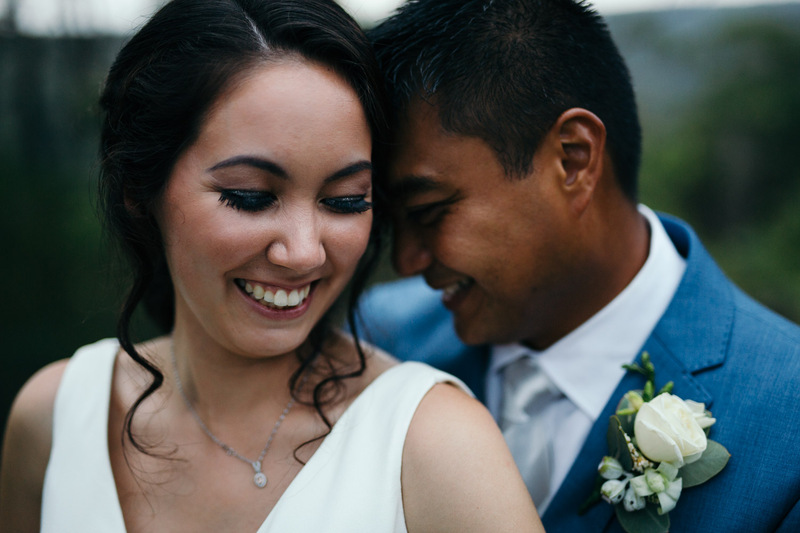 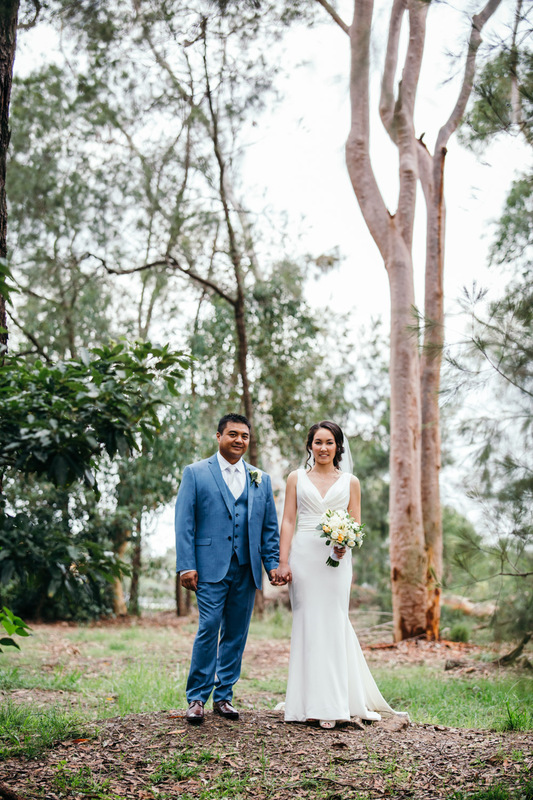 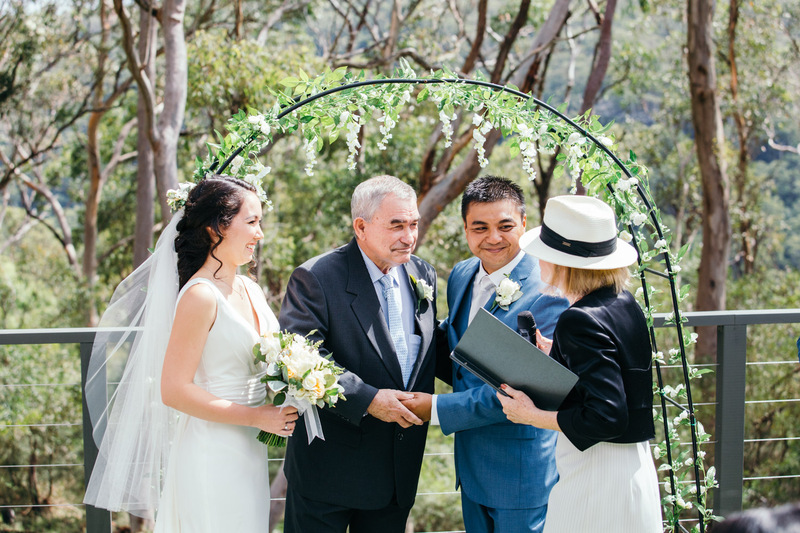 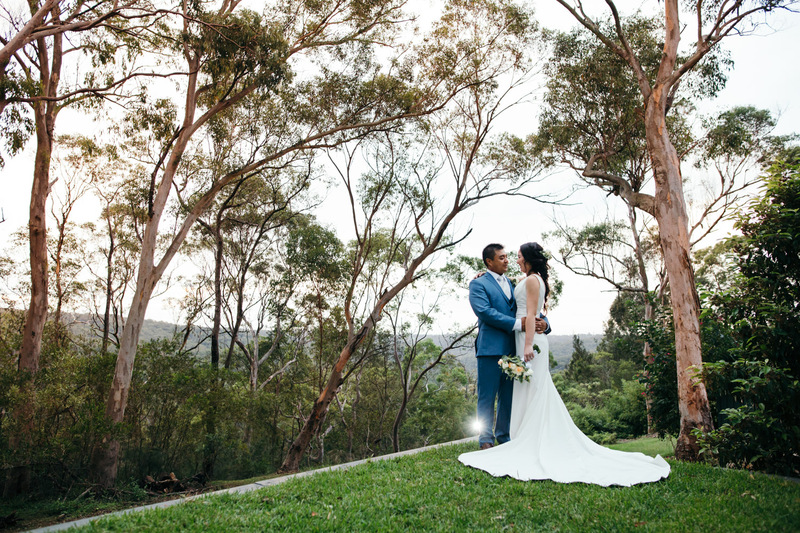 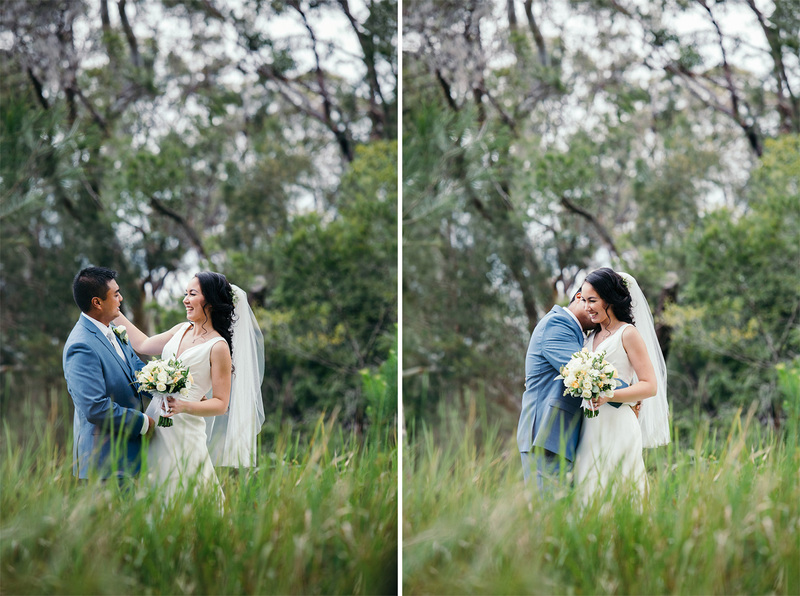 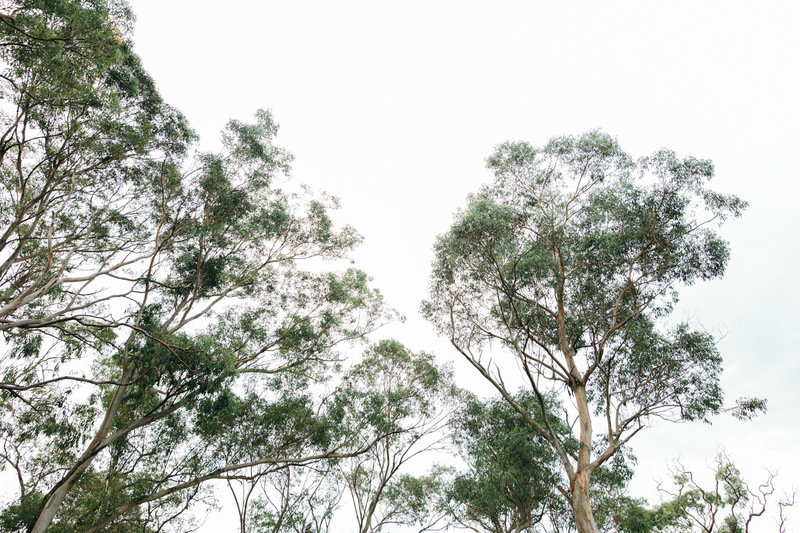 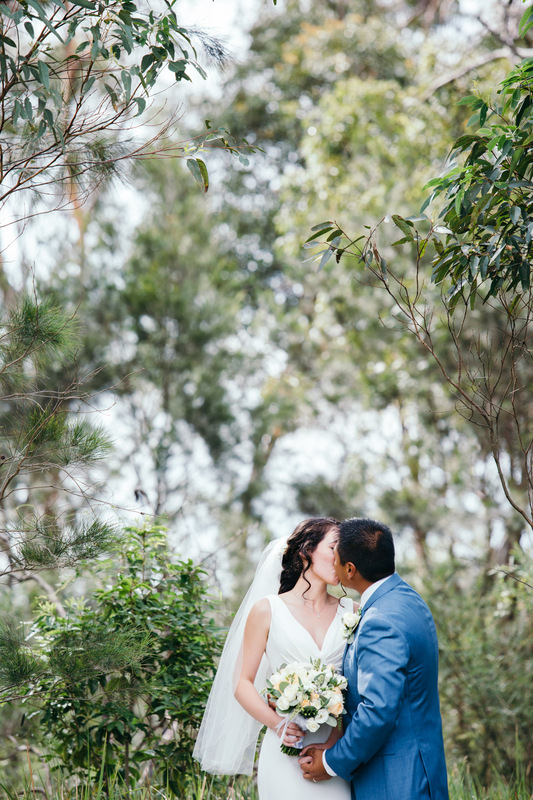 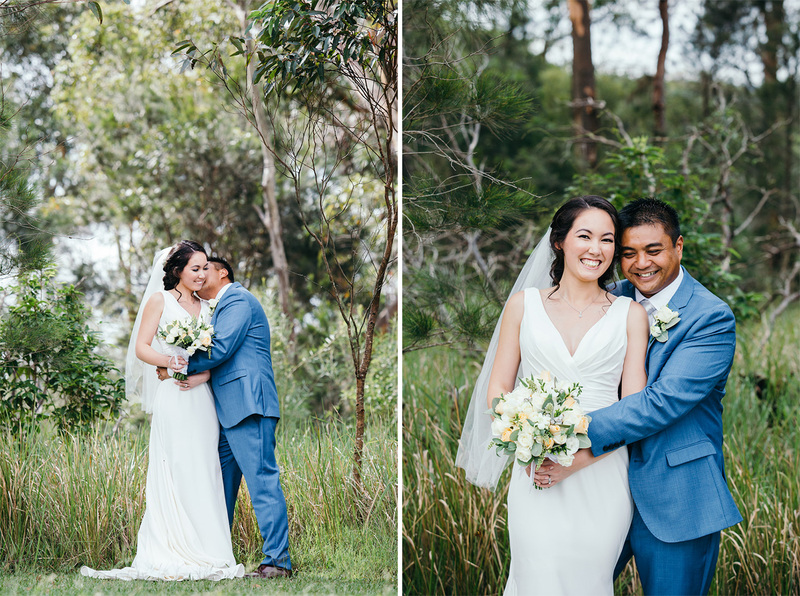 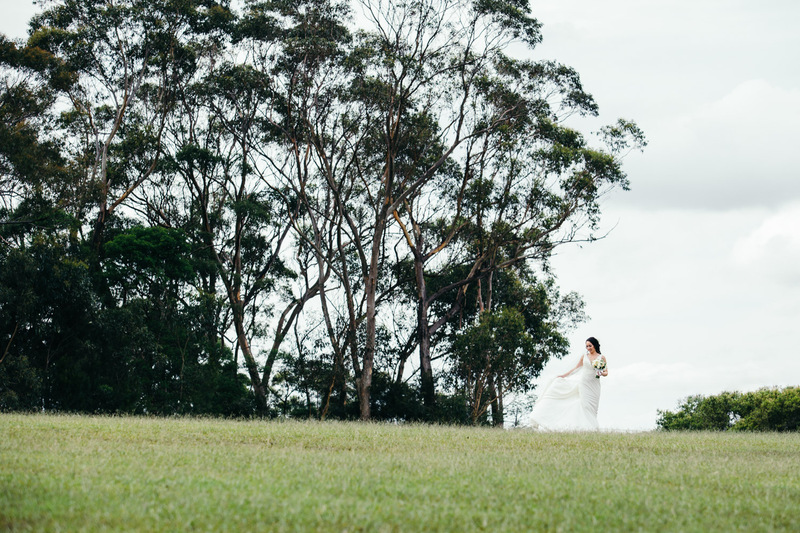 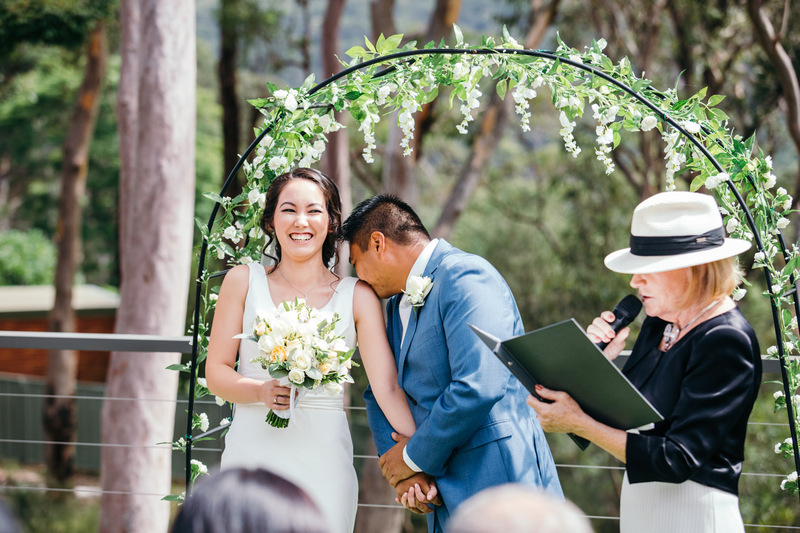 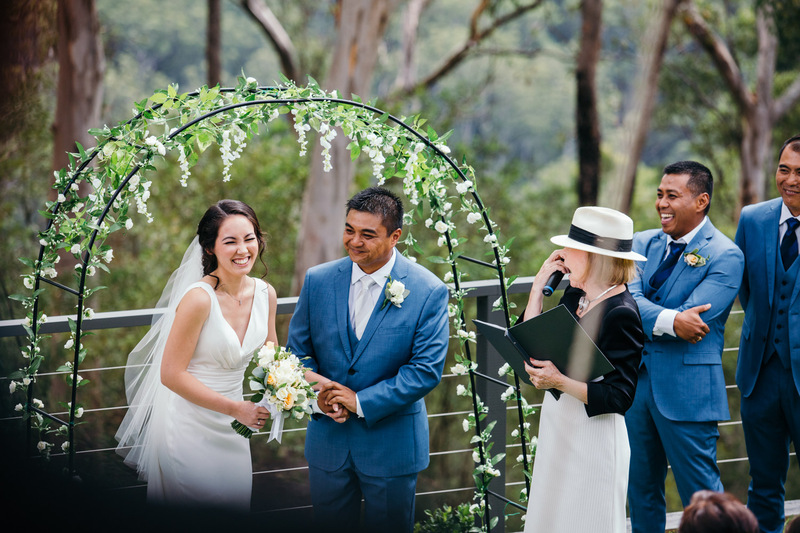 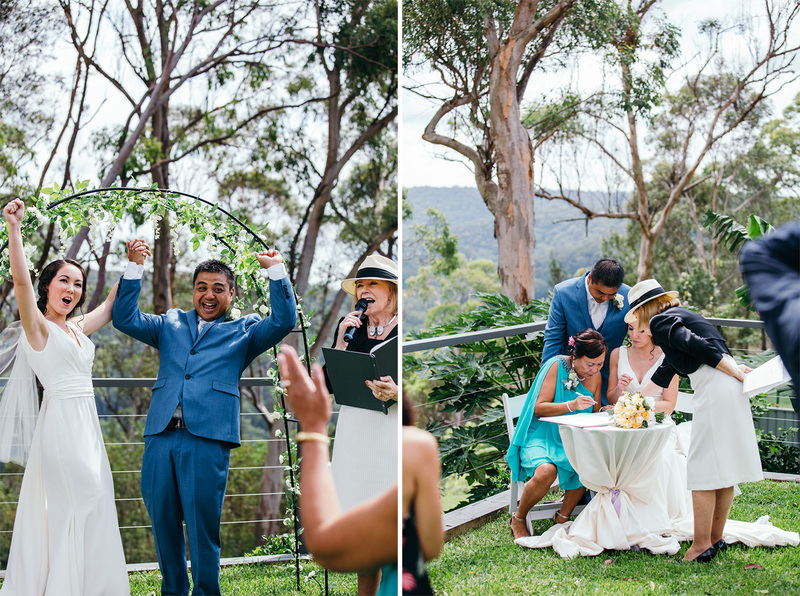 This is a story of two awesome people wanting to use their own awesome backyard situated on the edge some great native Australian bushland to celebrate their marriage. 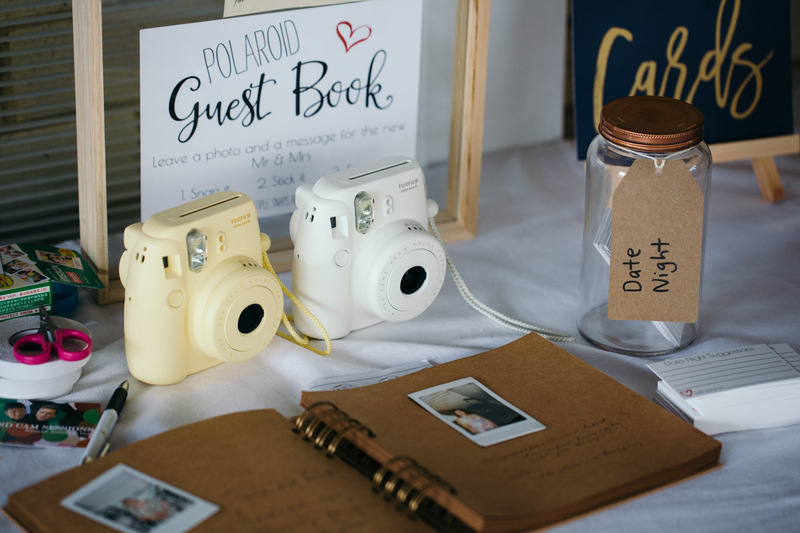 I find it intriguing how couples initially meet each other. 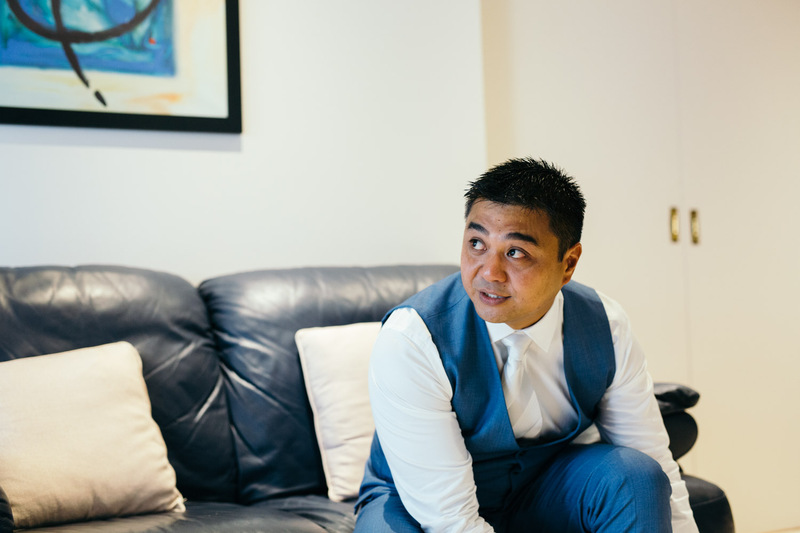 Robert tells me that he met Tania in a restaurant where Tania was working. 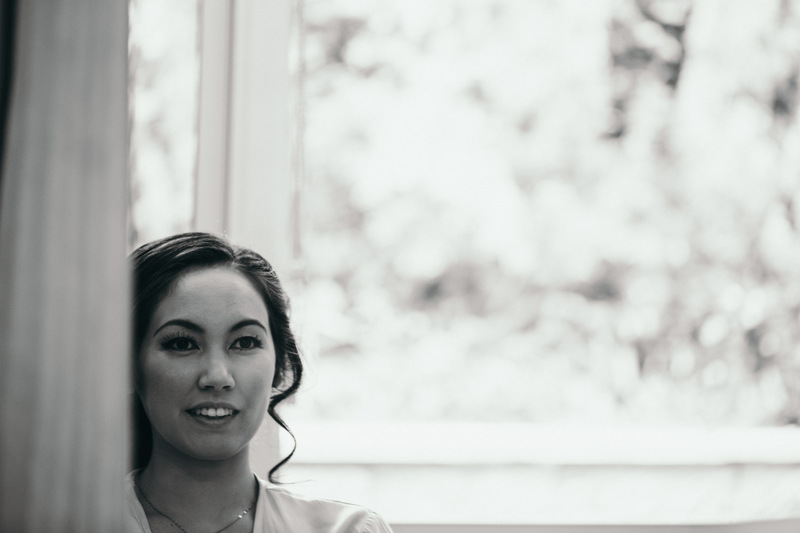 After initially laying eyes on her, Robert continually visited the same restaurant, each time ordering a little more and spending a little more frivolously. 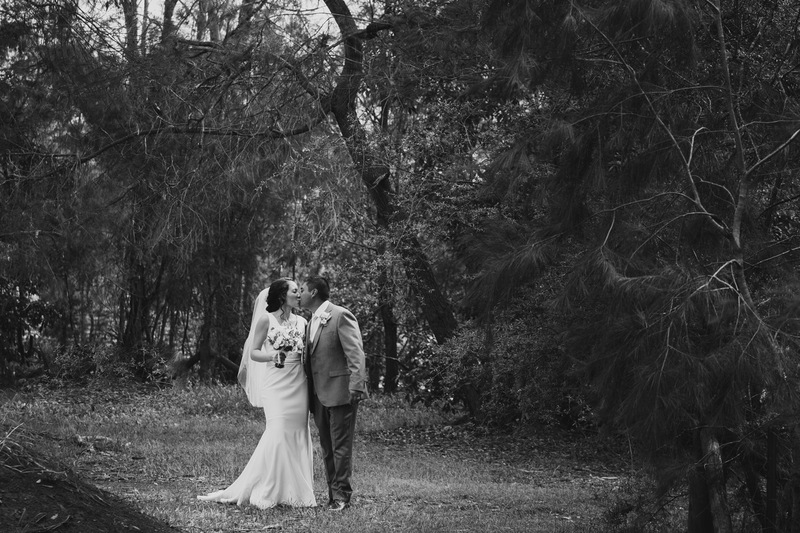 Robert, upon returning to the restaurant one evening, discovered that Tania was not there. 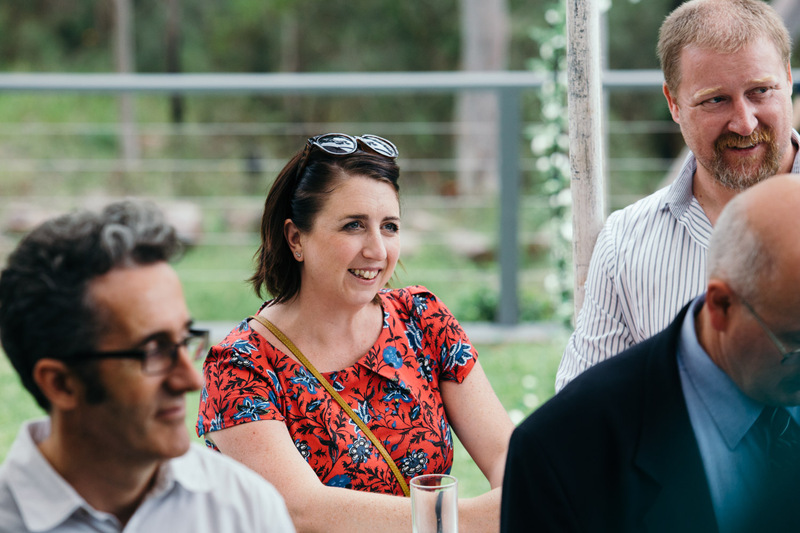 Robert revisited the restaurant on more occasions hoping that Tania would show, however, he discovered through other staff that Tania was no longer working at this eatery. 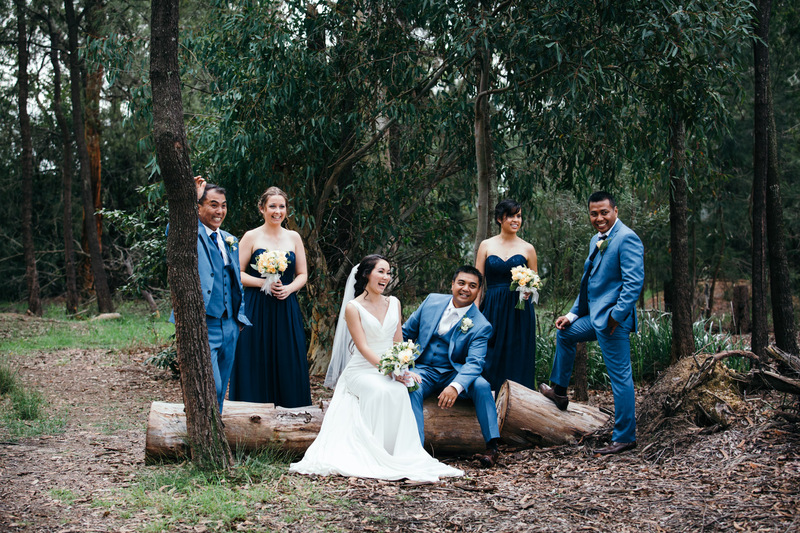 Eventually, Tania and Robert crossed paths unexpectedly, and Robert seized the moment to ask for Tania’s number. 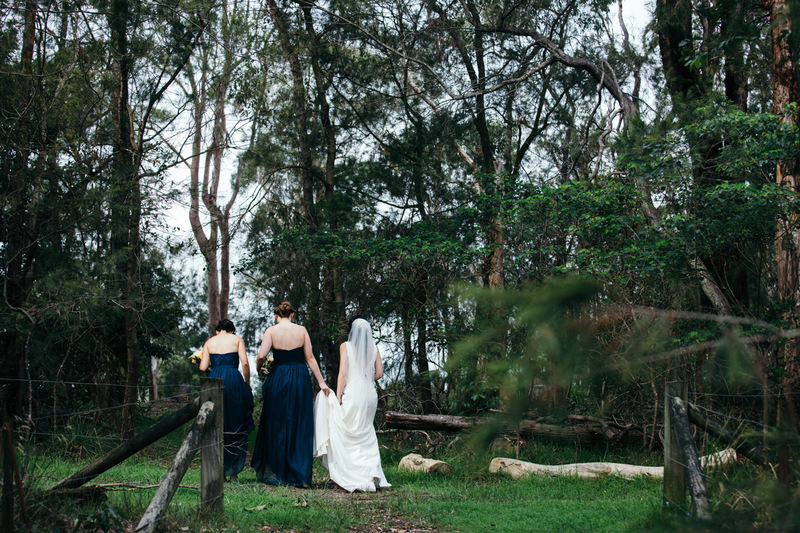 The rest, as they say, is history. 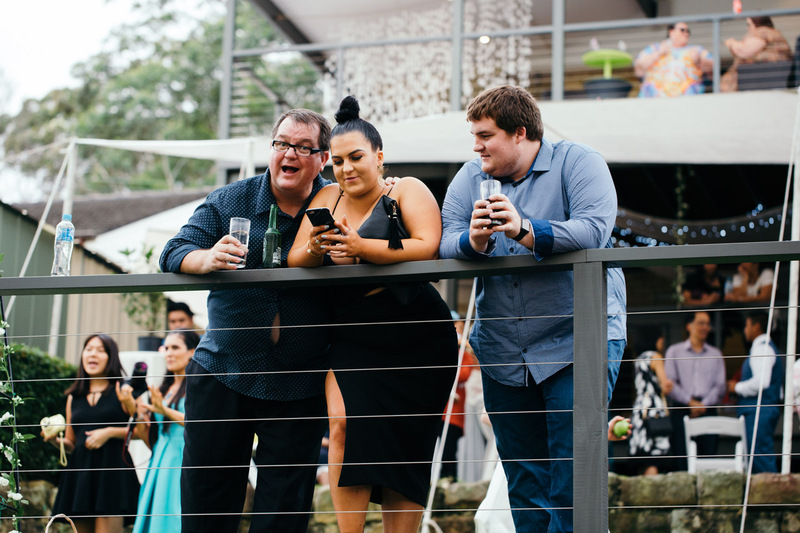 I received an email from Tania and Robert one afternoon. 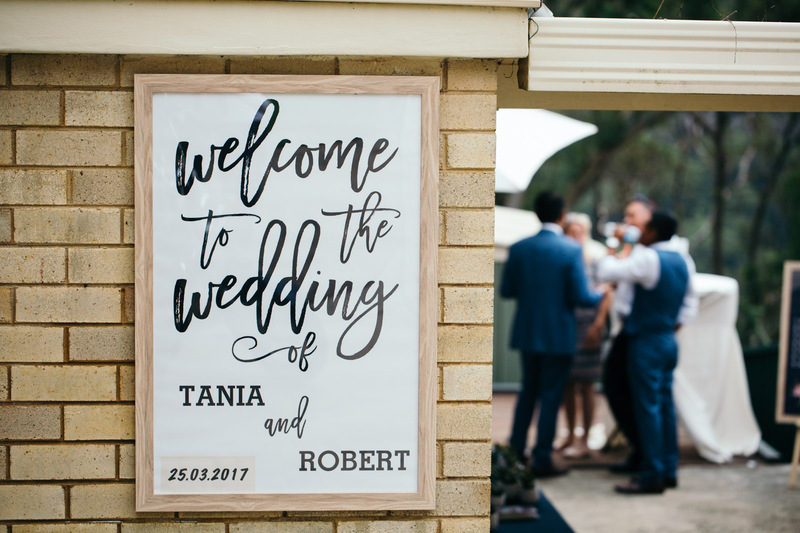 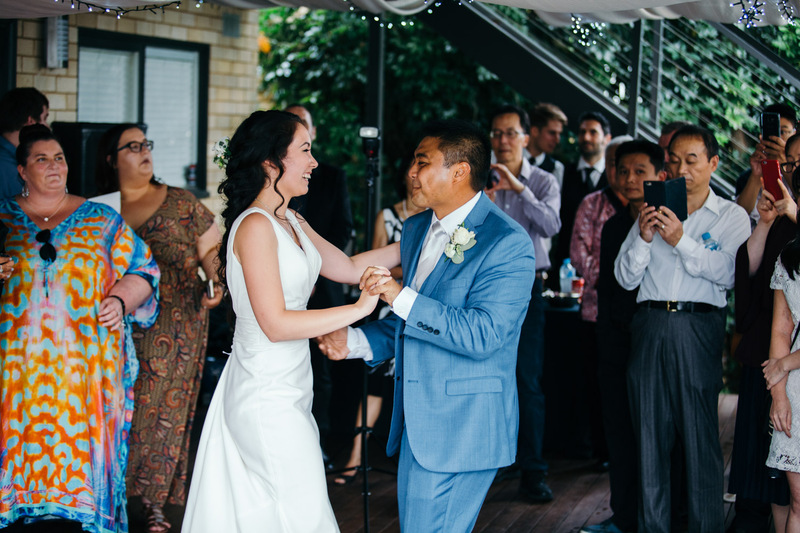 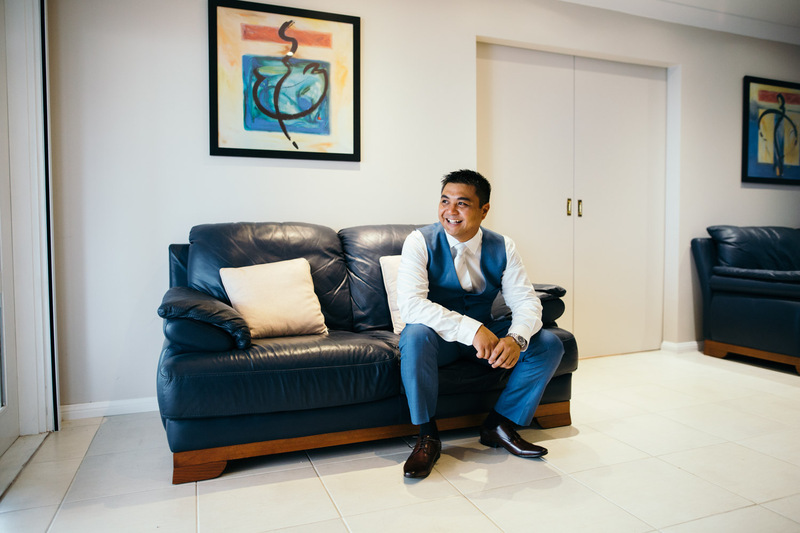 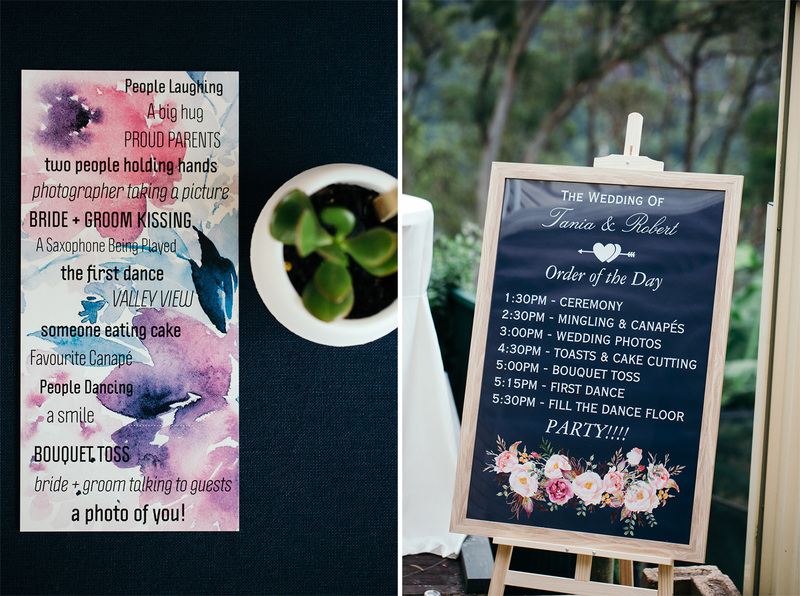 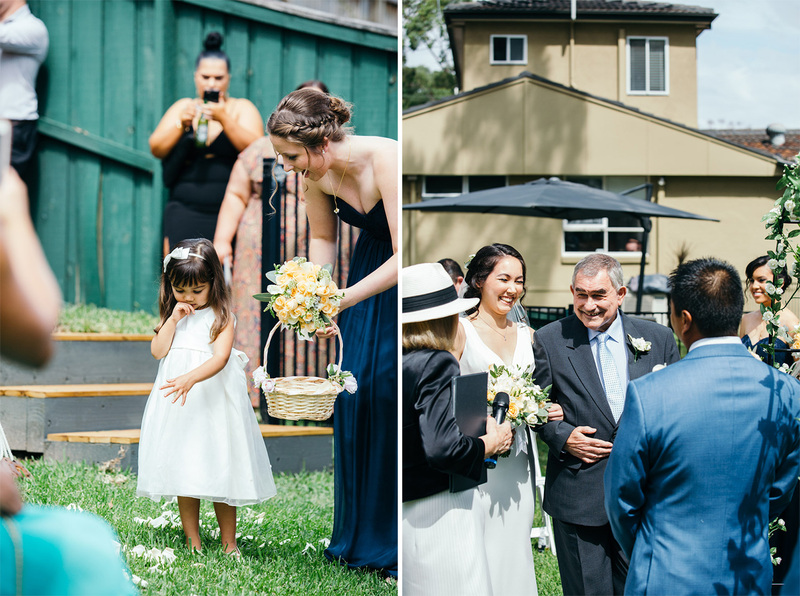 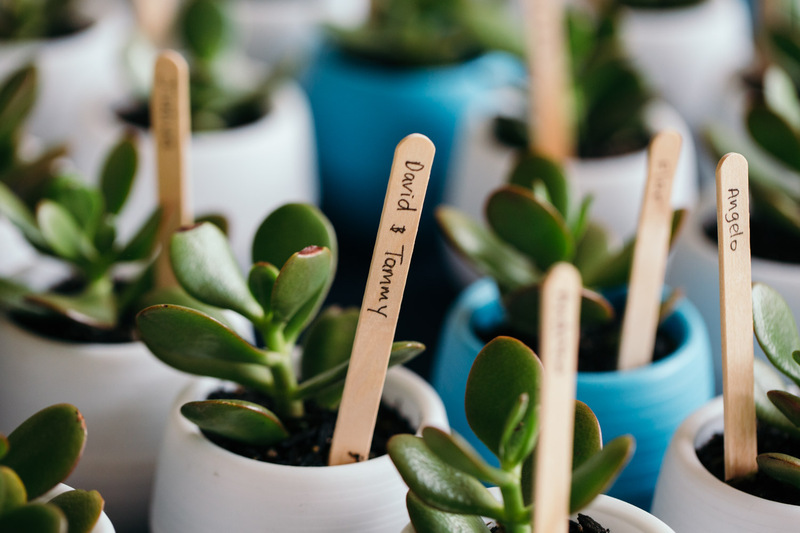 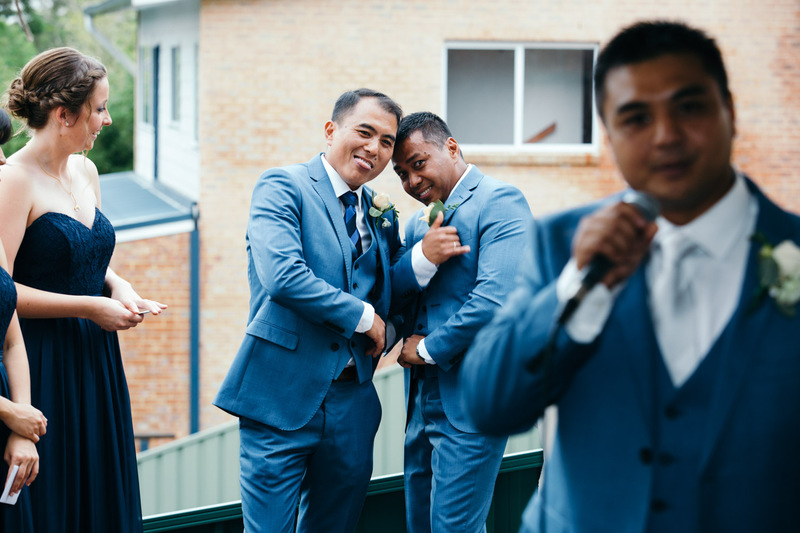 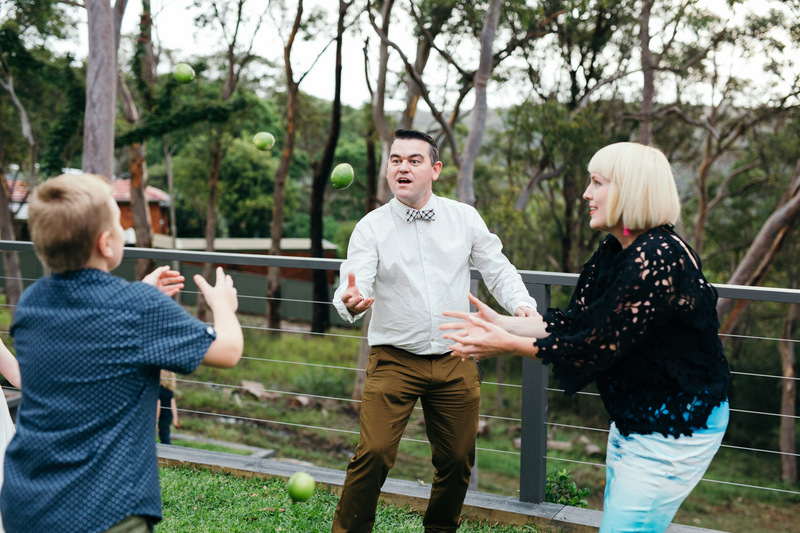 The couple were keen to take advantage of their almost-finished backyard for their wedding – something that Robert was improving. 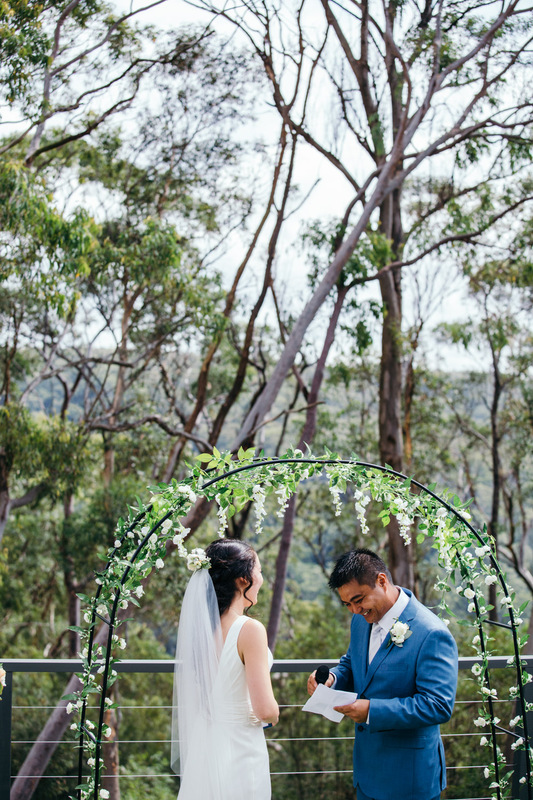 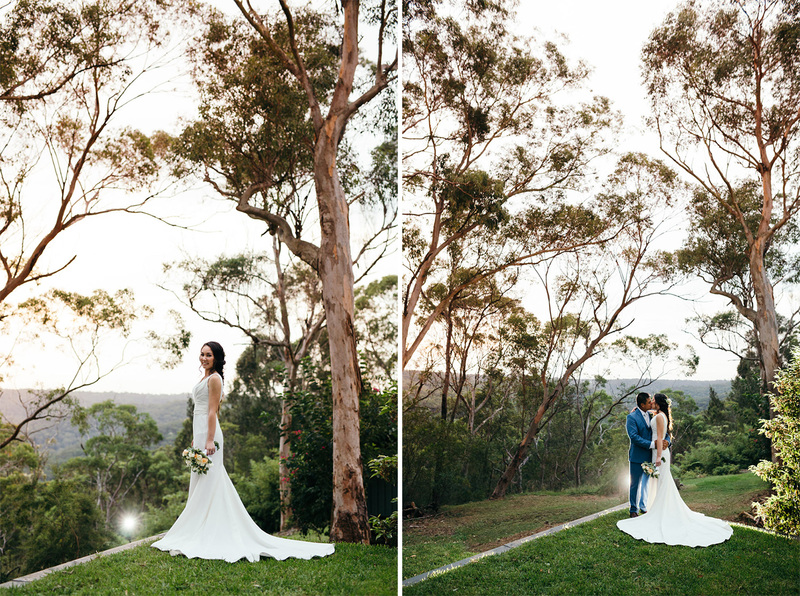 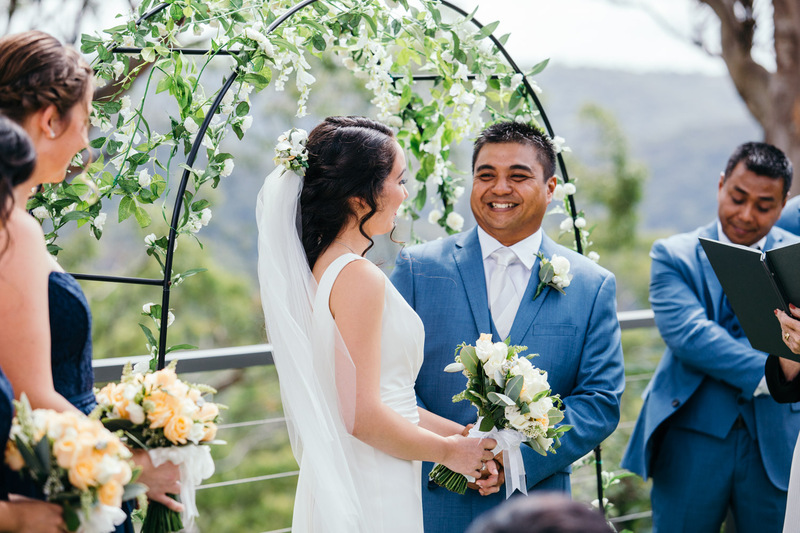 They live on the edge of the Berowra Valley National Park in Sydney’s north, with sweeping treetop views that seemed to stretch forever! 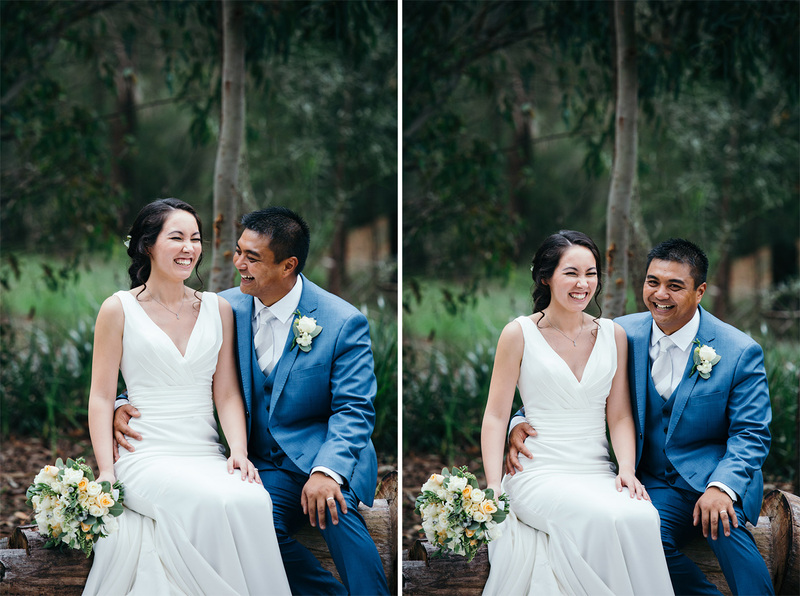 I remember meeting these two at the house one morning – the backyard was a total construction site, but Rob assured me that the yard would be finished in time for their day. 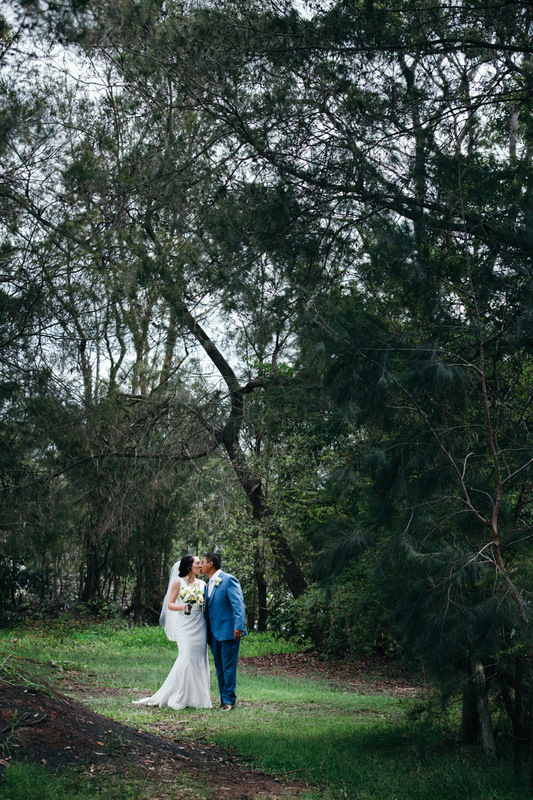 The remainder of Tania and Robert’s property was awesome. 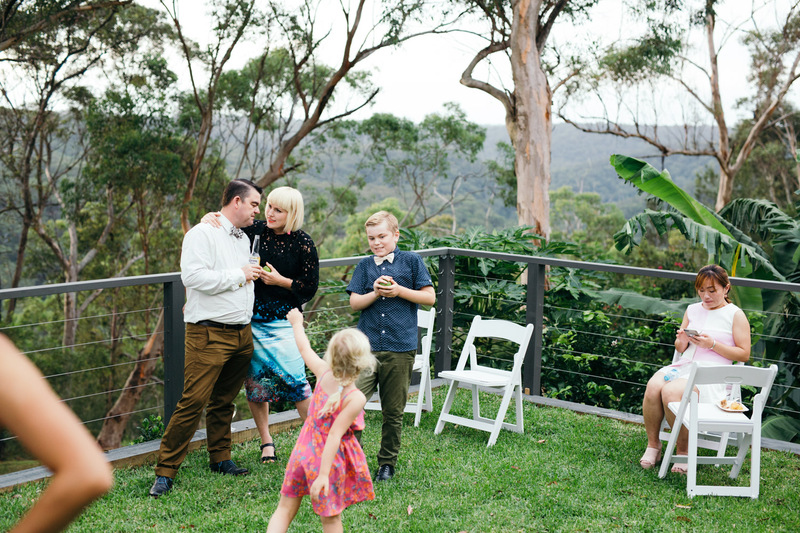 Two levels of covered balconies, room to set up a bar, and plenty of space for chairs on the lawn. 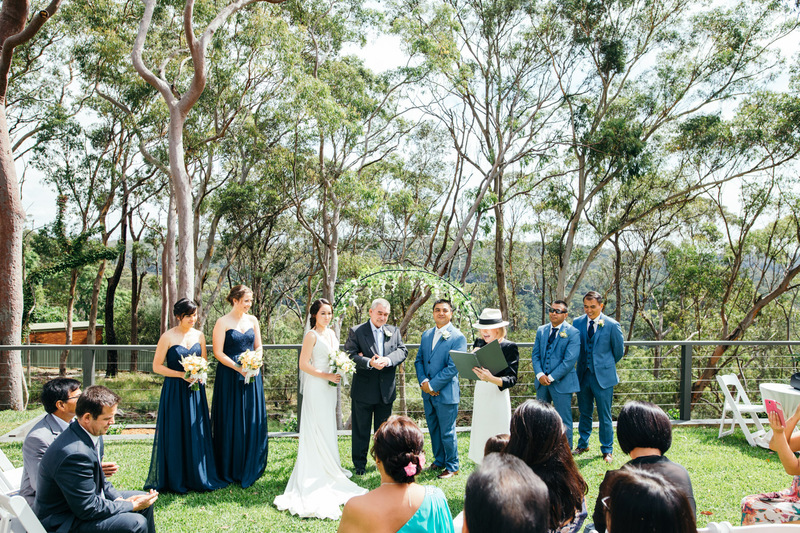 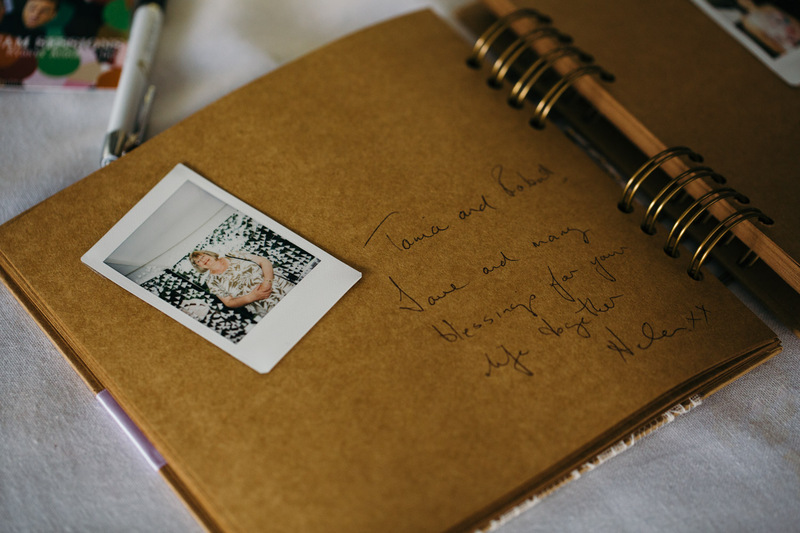 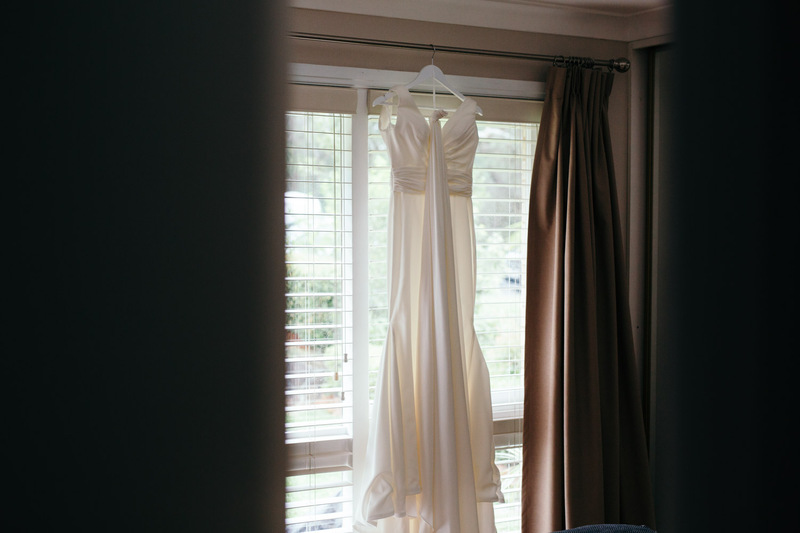 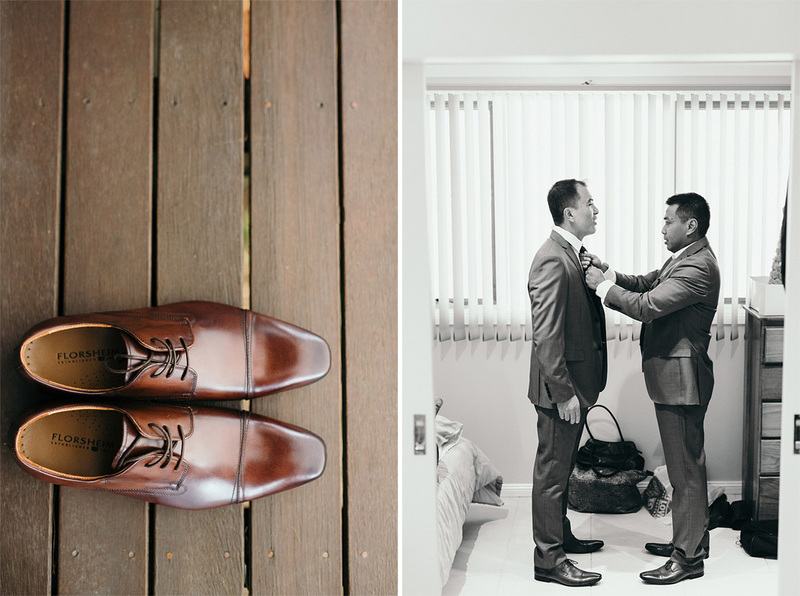 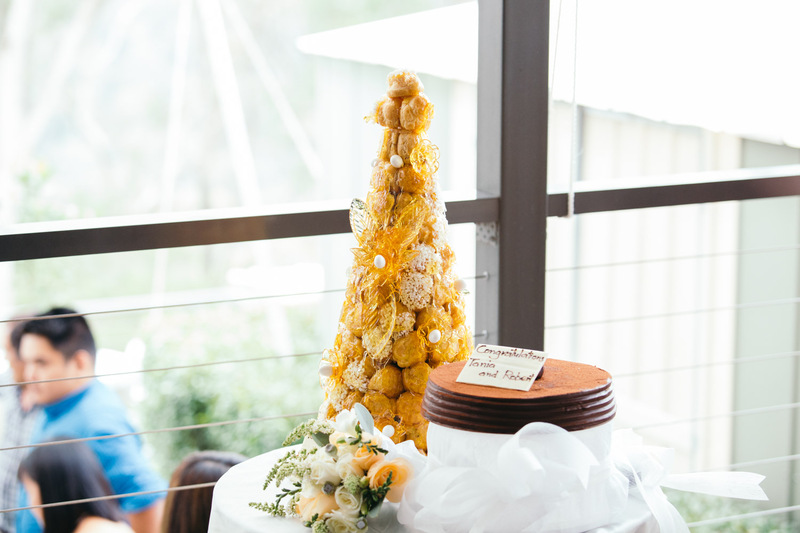 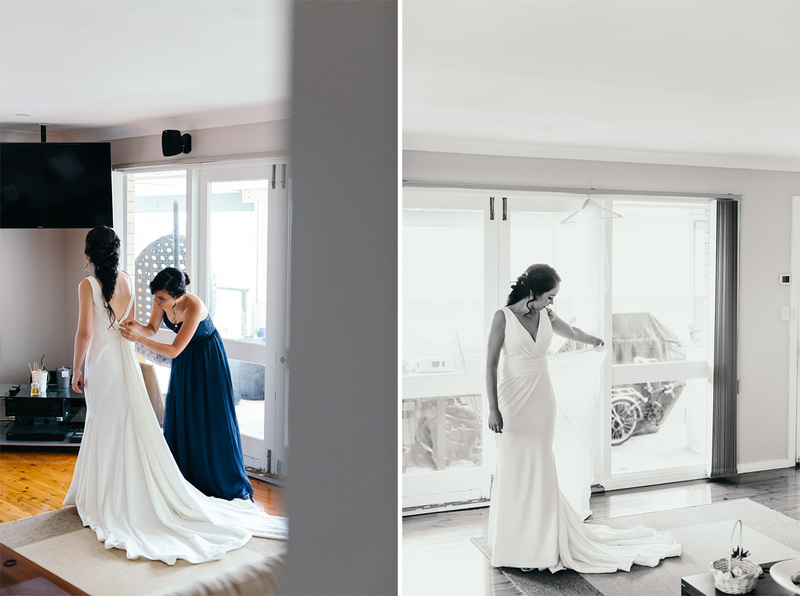 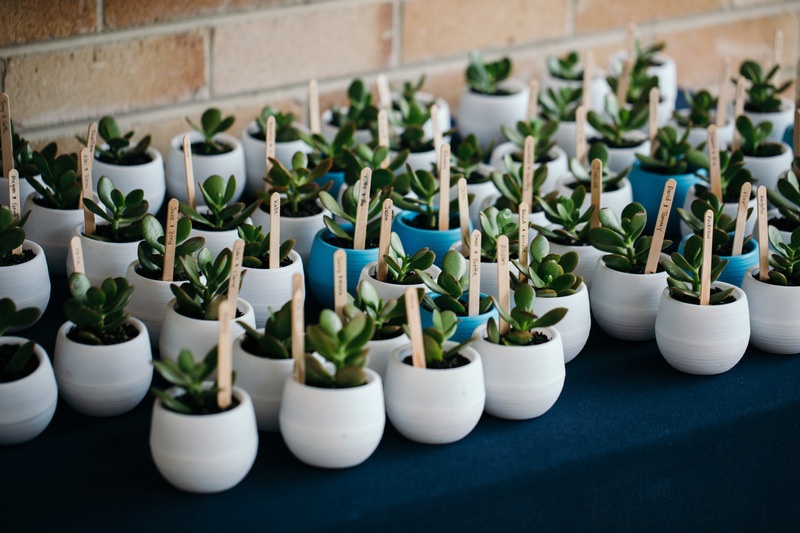 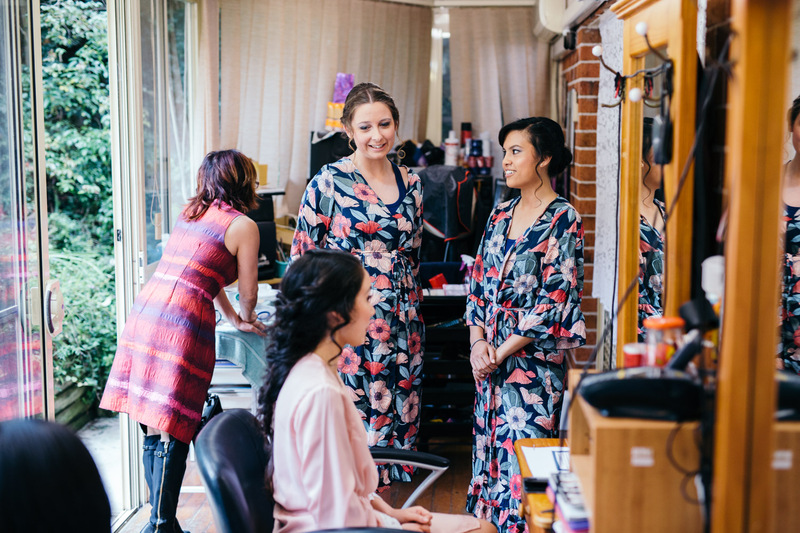 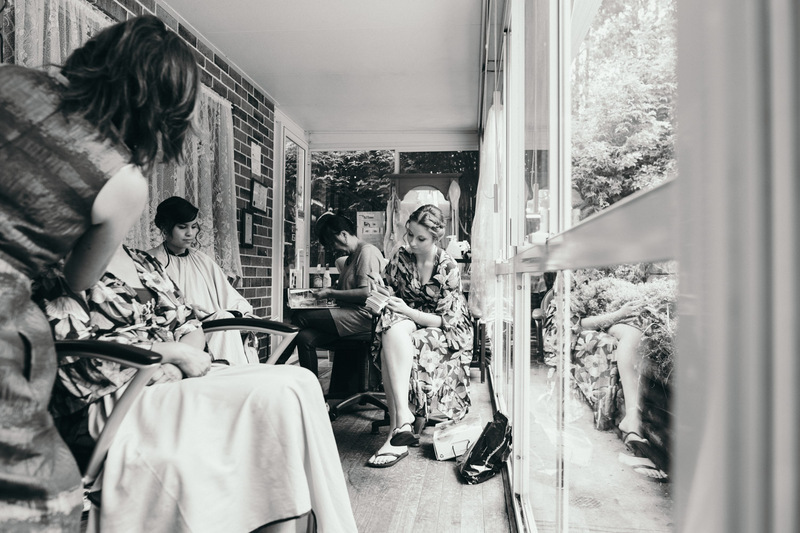 The scene was easily suitable for an awesome wedding day filled with personal touches. 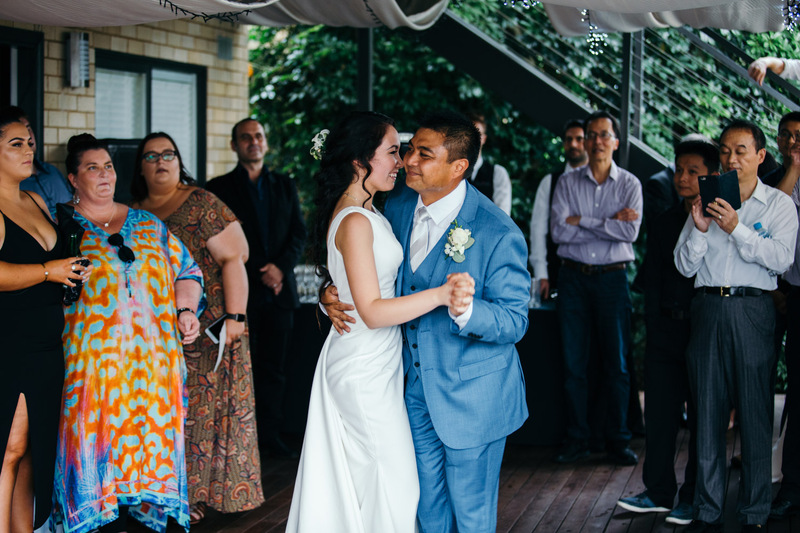 Skip forward about 5 months, and the backyard was amazing! 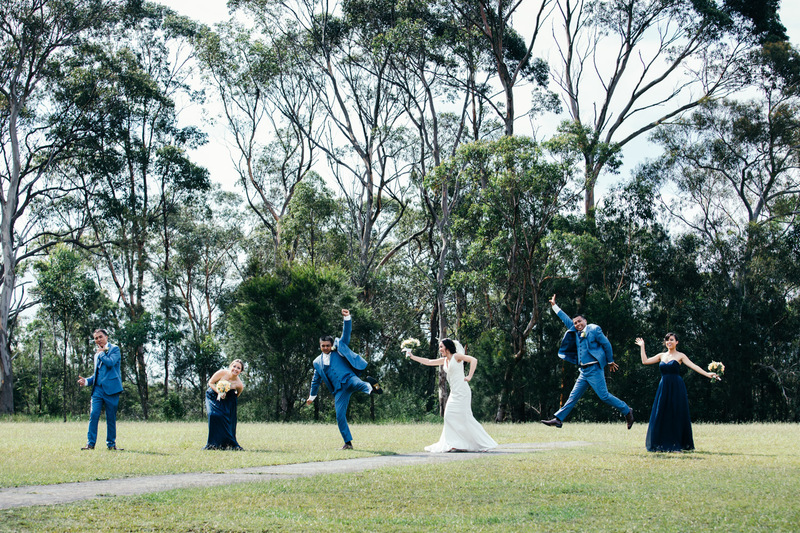 These guys built a three-tiered yard that put you up amongst the Cockatoos in the Sydney Red Gums. 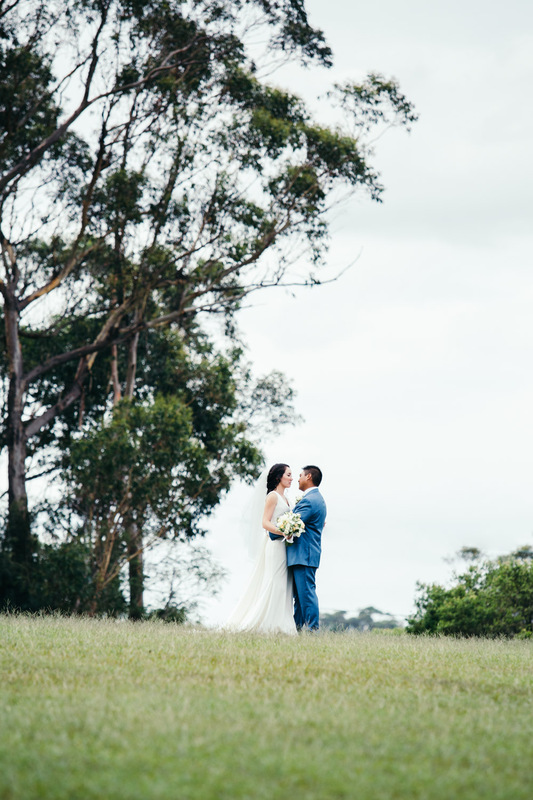 Being on the edge of the National Park, we didn’t need to venture far for some photographs either – just down the road. 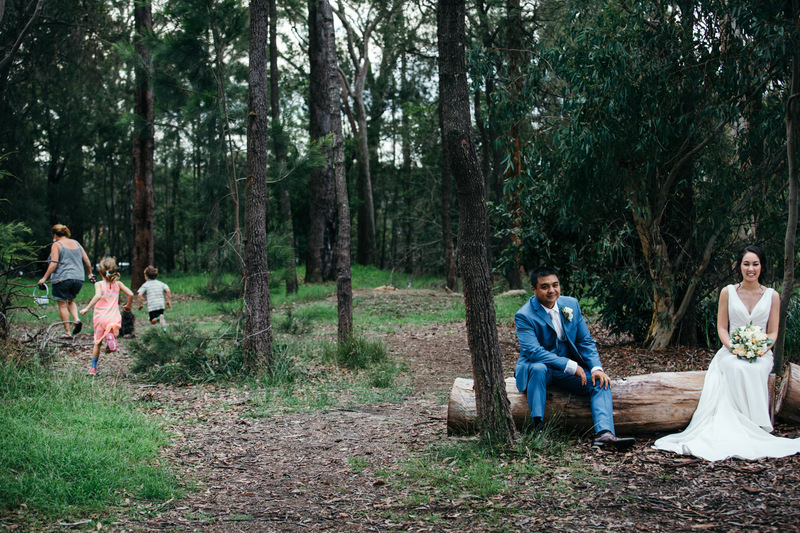 In fact, this first photograph, which was my last frame for the day, really encapsulates a sense of place for this wedding. 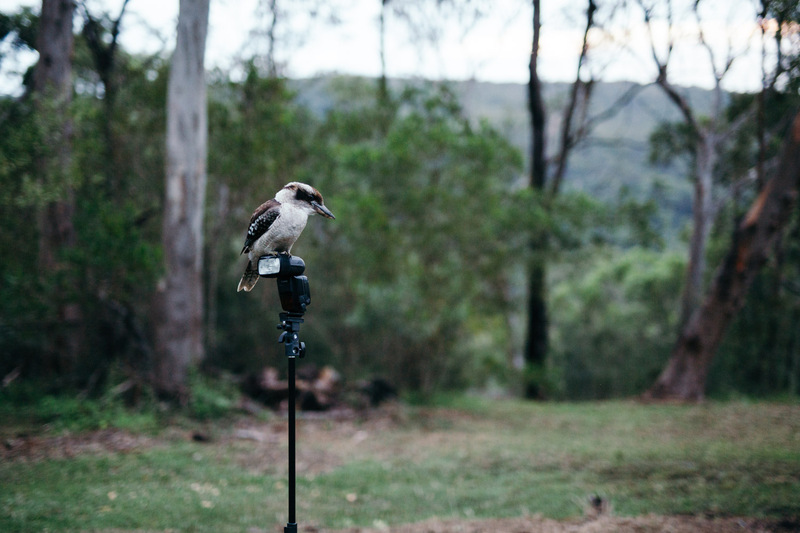 We were shooting at dusk when this fella just swooped down and perched atop my Speedlite. 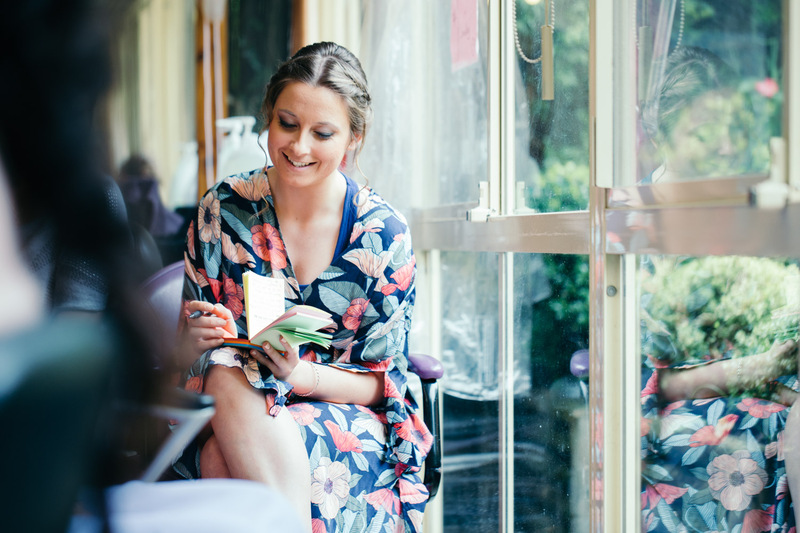 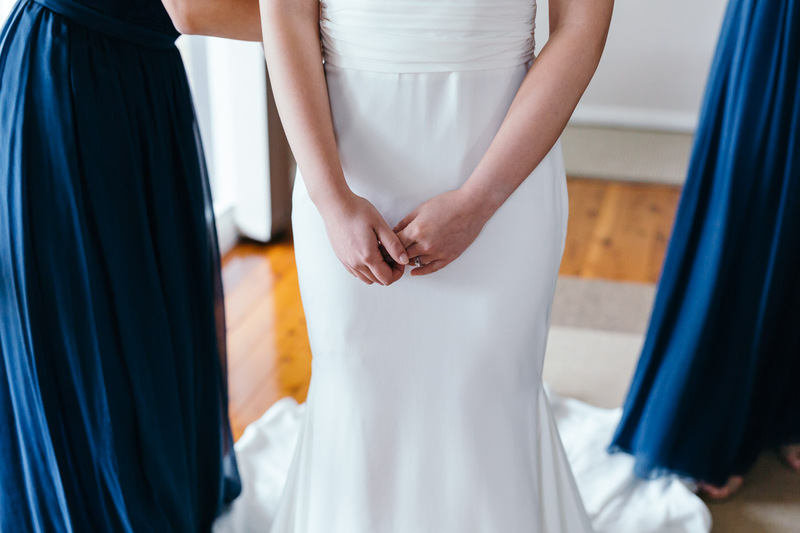 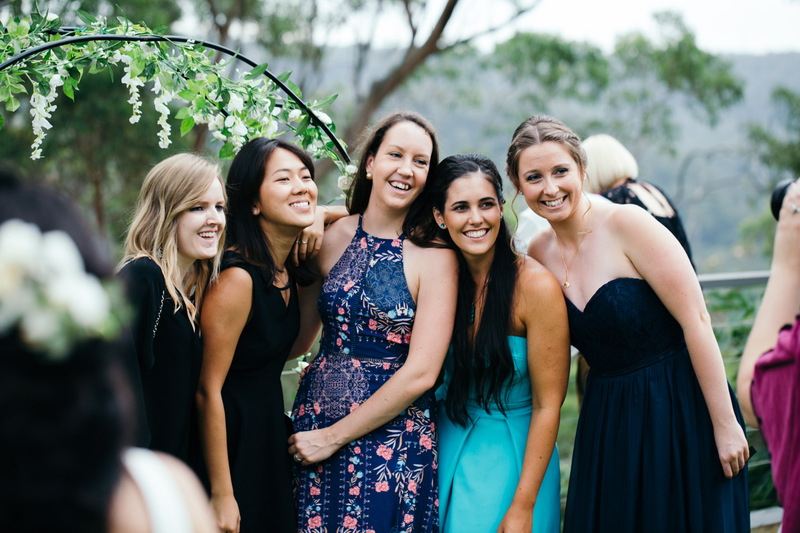 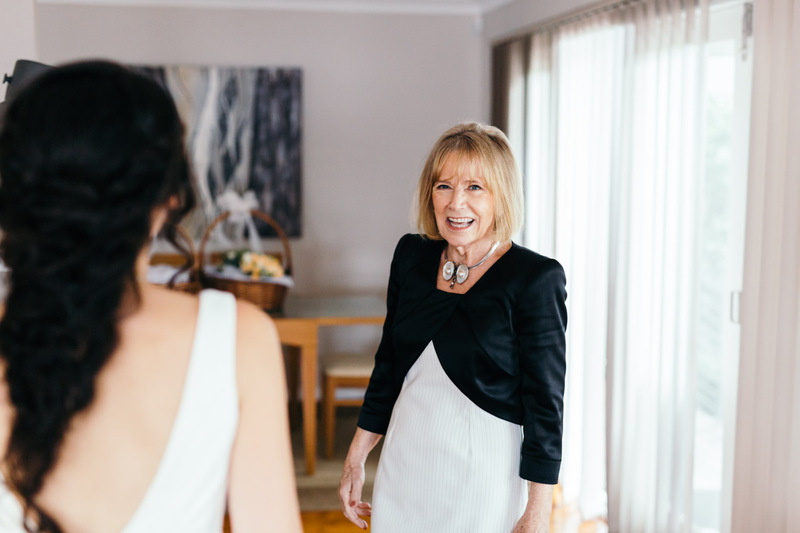 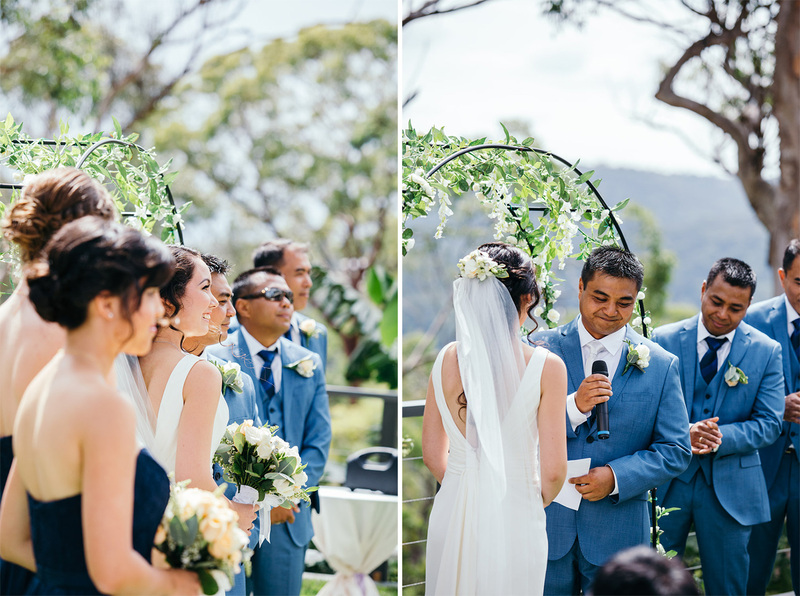 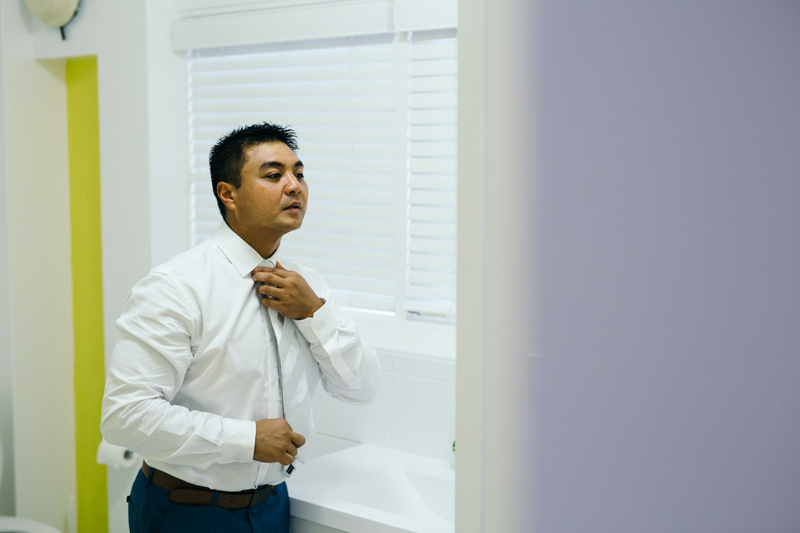 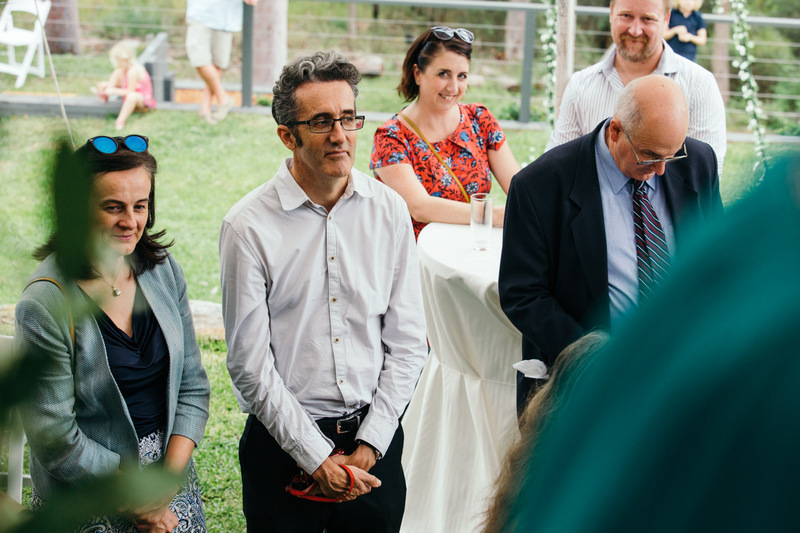 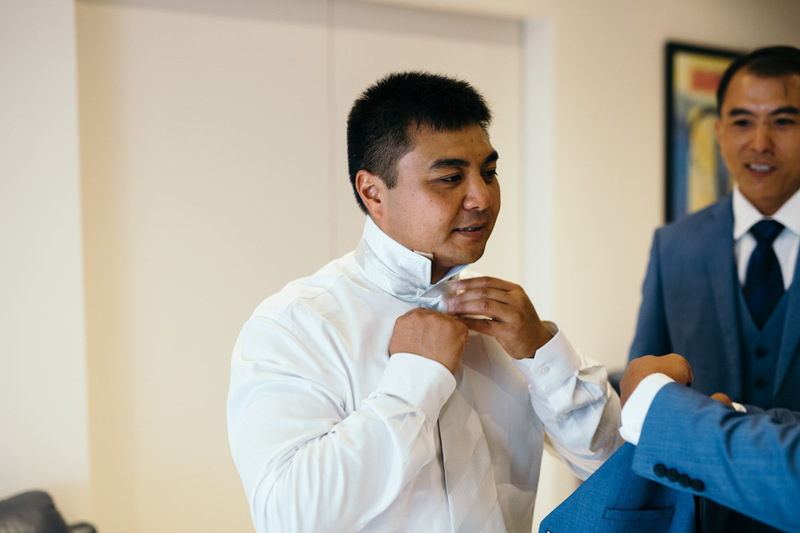 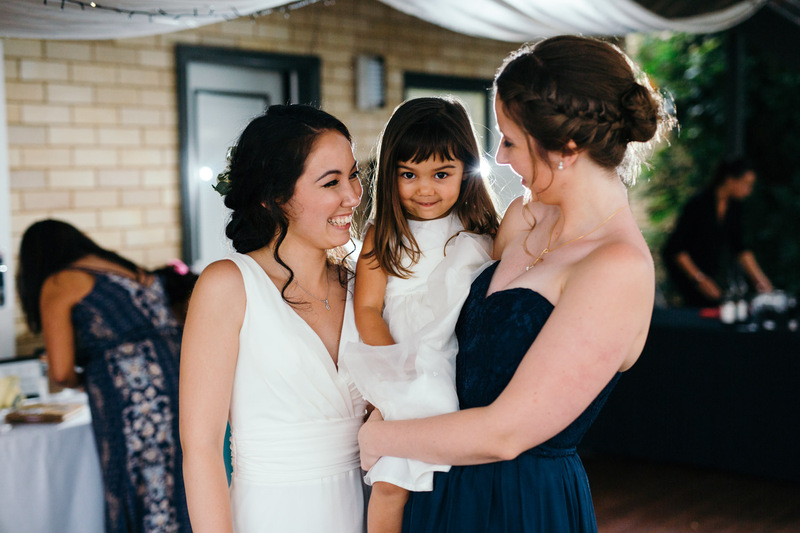 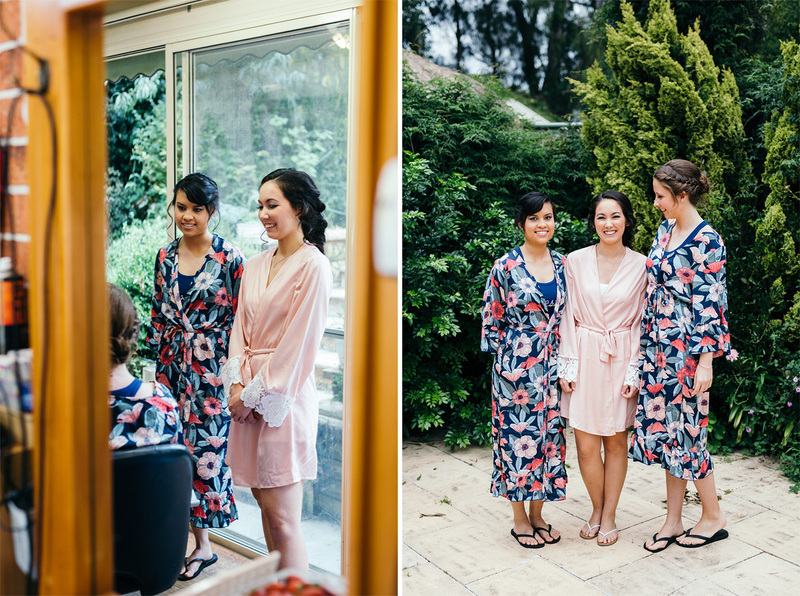 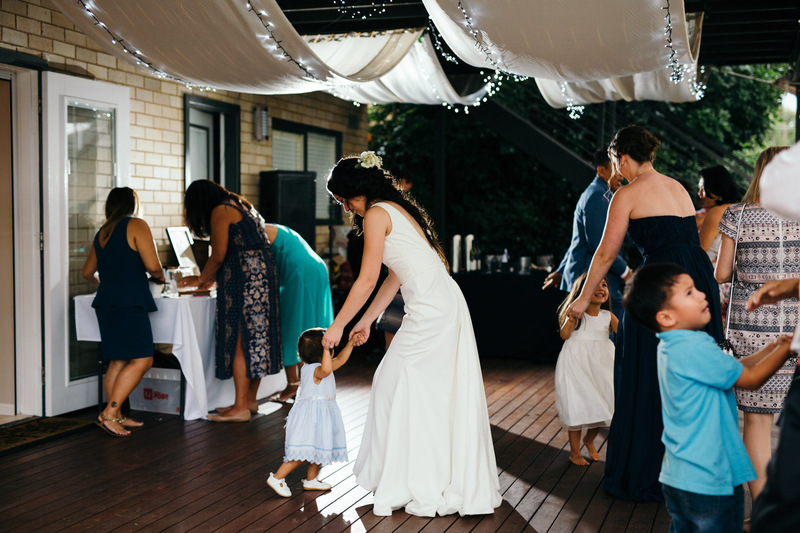 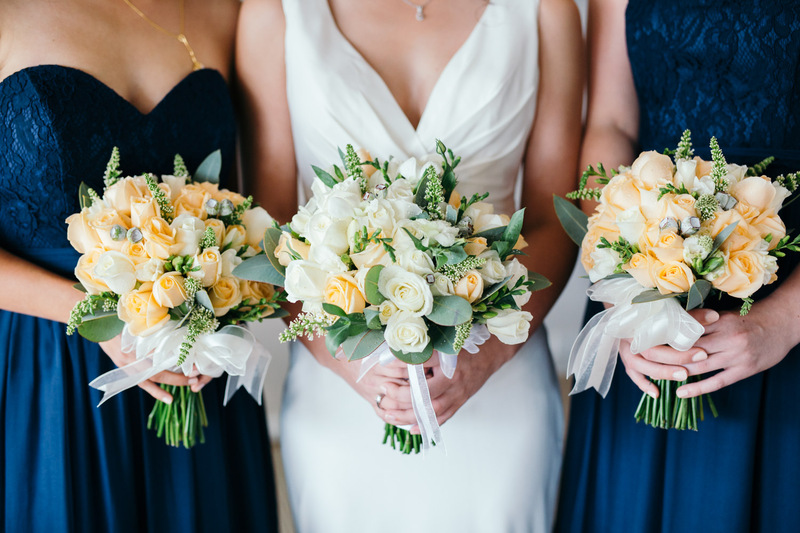 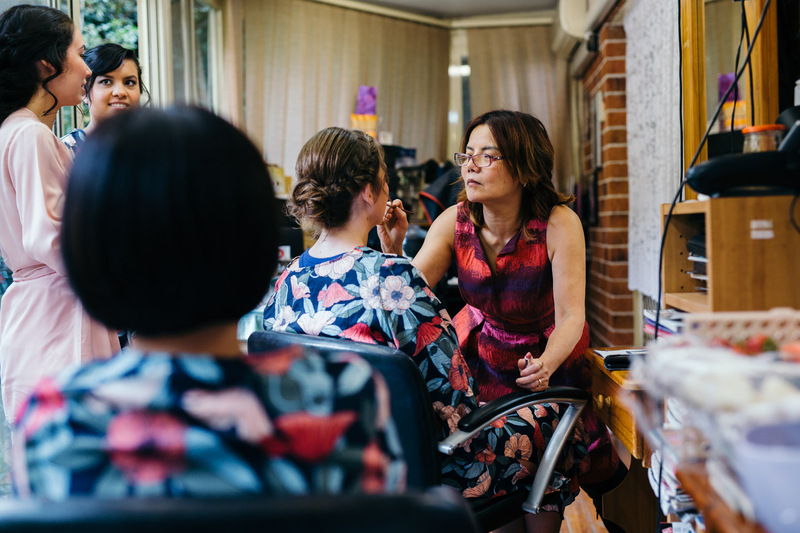 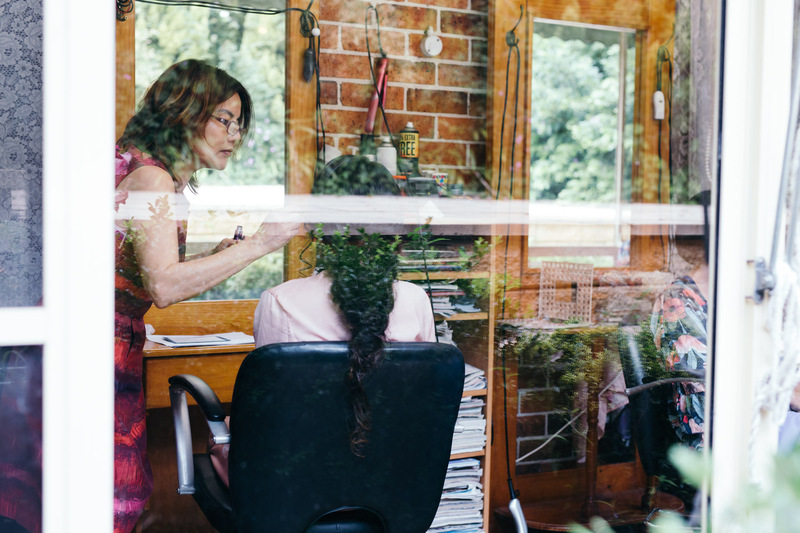 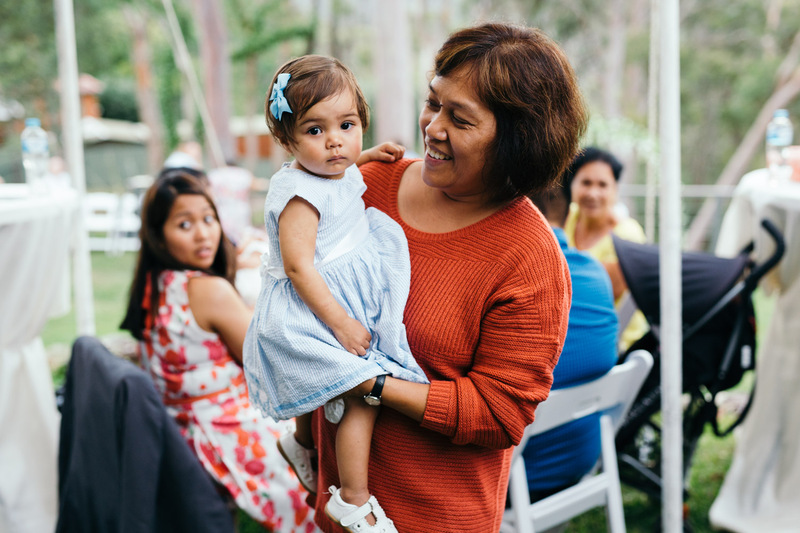 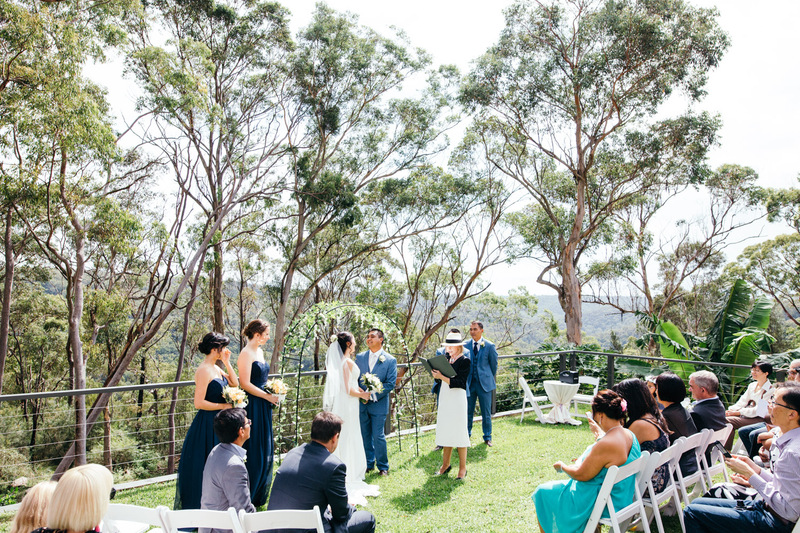 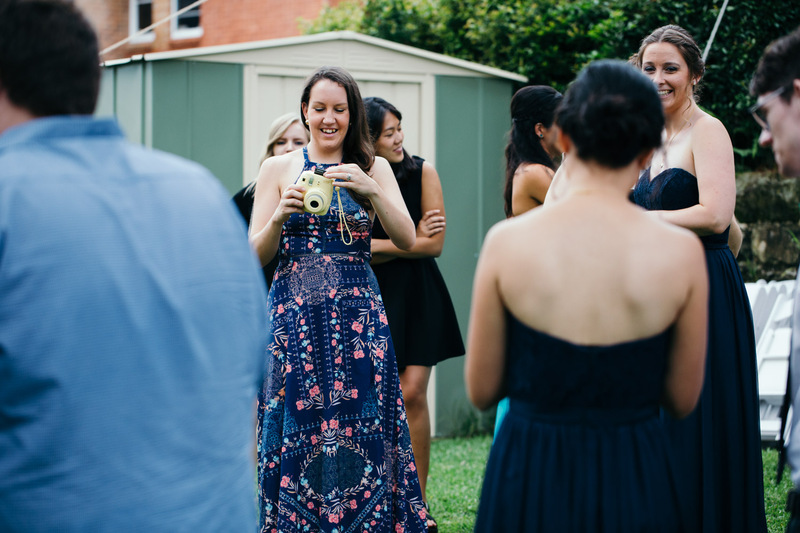 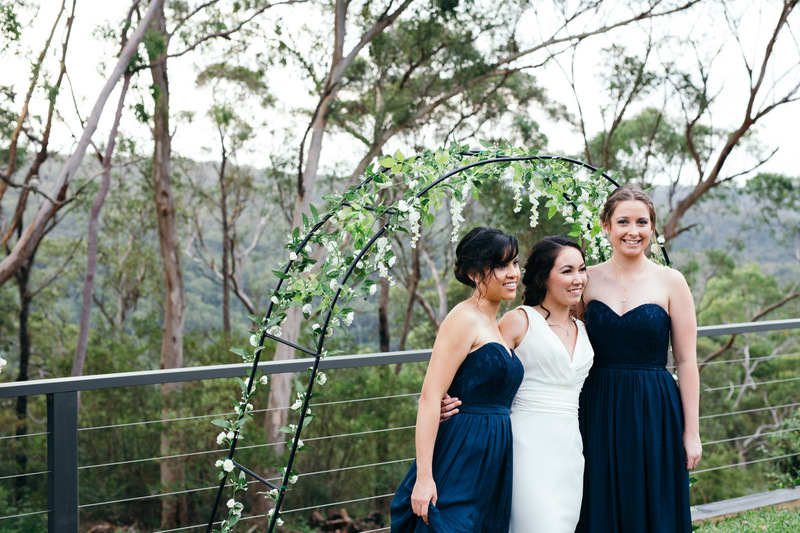 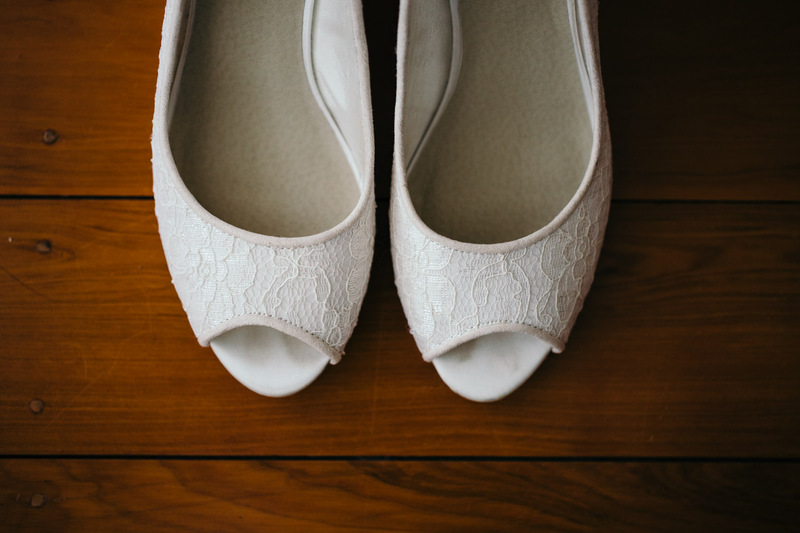 How Can a First Look Wedding Give us More Time With Our Guests?